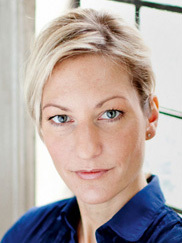 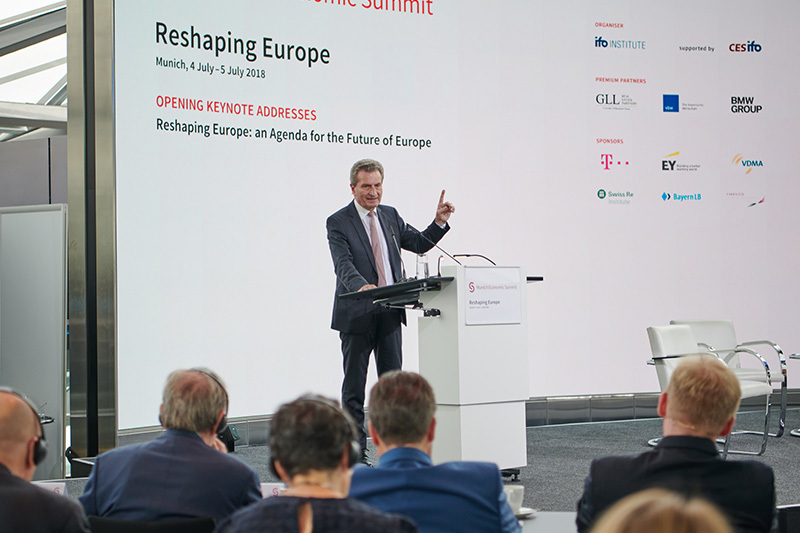 The world is changing fast and Europe seems to be lurching from one emergency to the next. 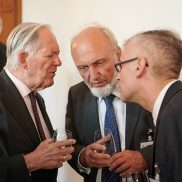 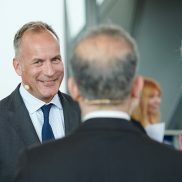 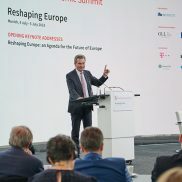 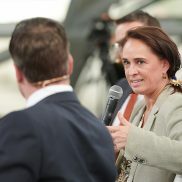 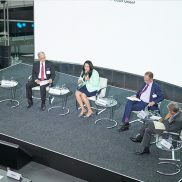 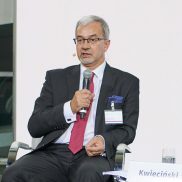 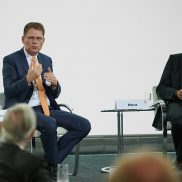 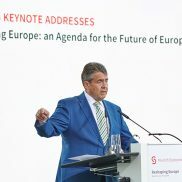 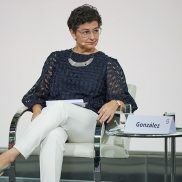 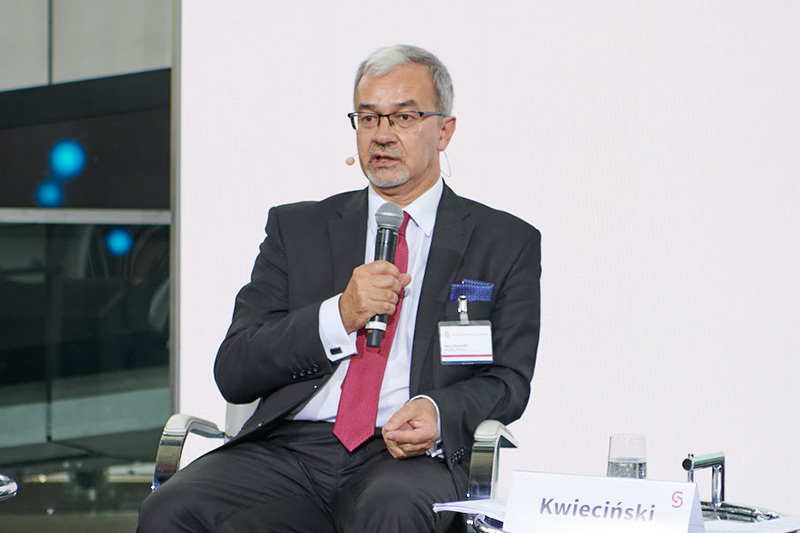 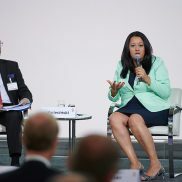 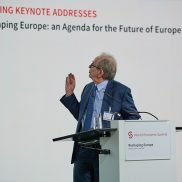 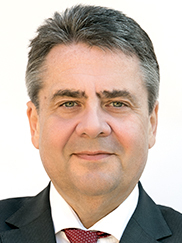 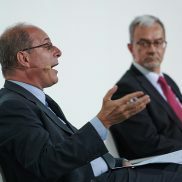 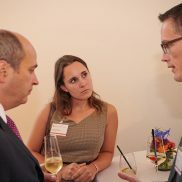 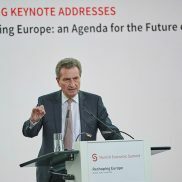 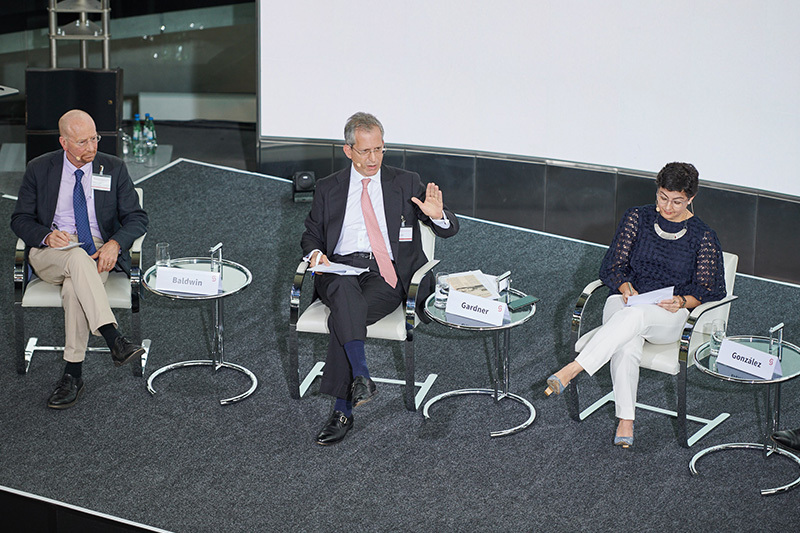 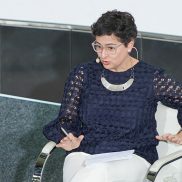 In addition to inherent differences and tensions, Europe faces a host of (economic) challenges including high youth unemployment, the currency union, the UK decision to leave the EU, migration pressures, security concerns, uncertain transatlantic relations and geopolitical threats, the risks and opportunities of digitalisation, and the rise of “anti-EU” movements and political parties. 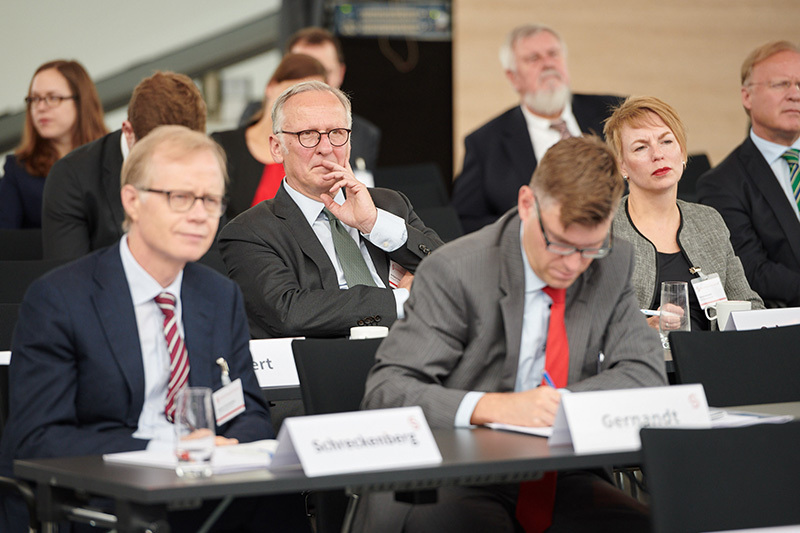 Currently representatives of European governments and the EU are actively discussing the idea of further deepening the EU. 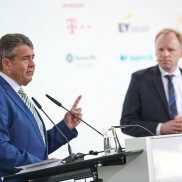 Large swathes of the European population, however, harbour concerns over deeper integration and further transfers of power to EU institutions. 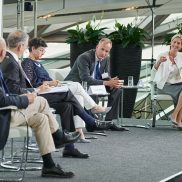 But what is the best way of achieving greater European cohesion? 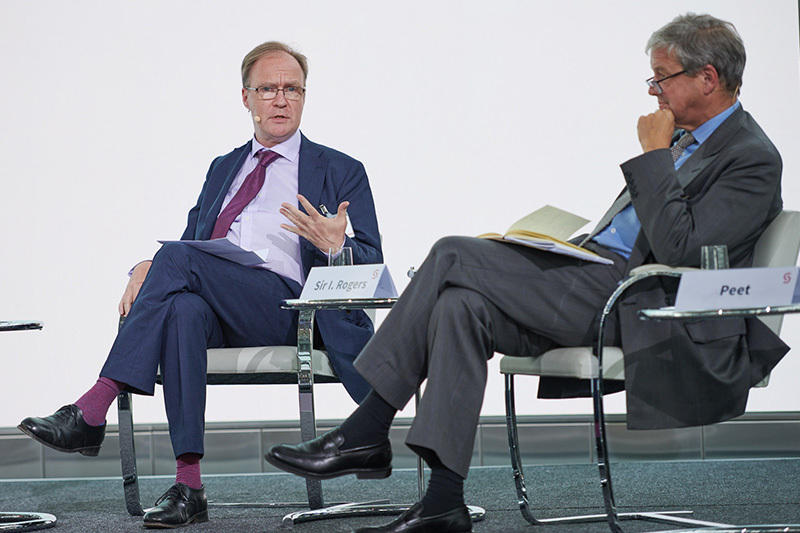 How will and should the future of Europe look in this uncertain environment? 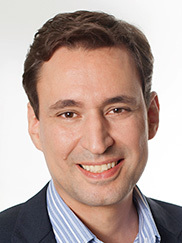 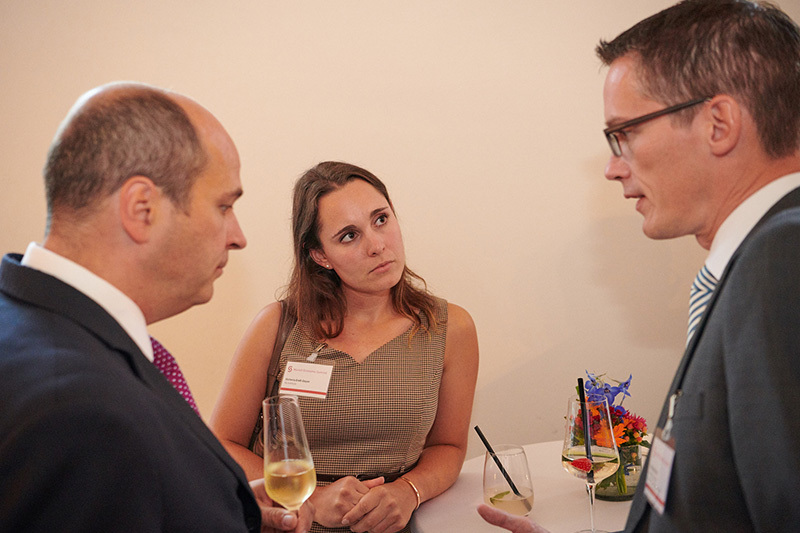 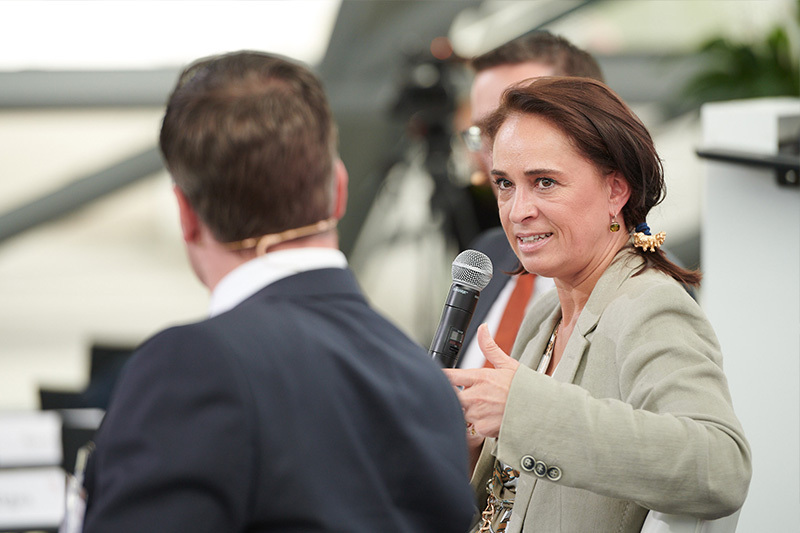 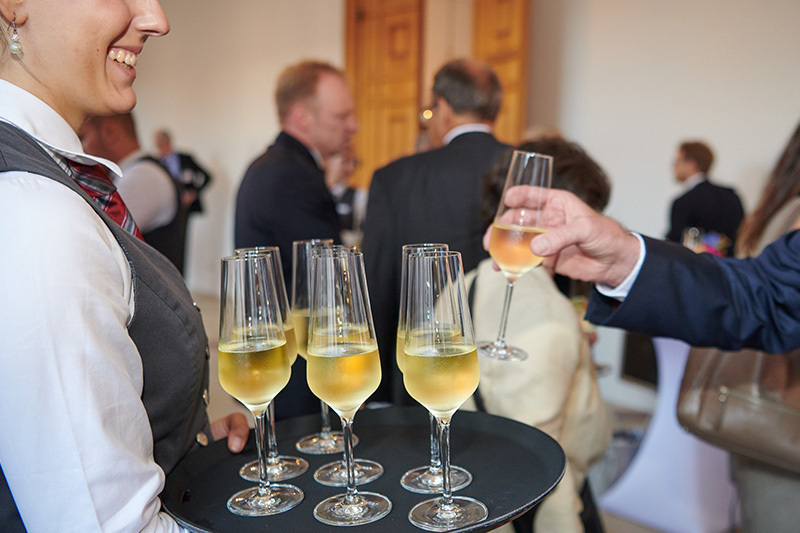 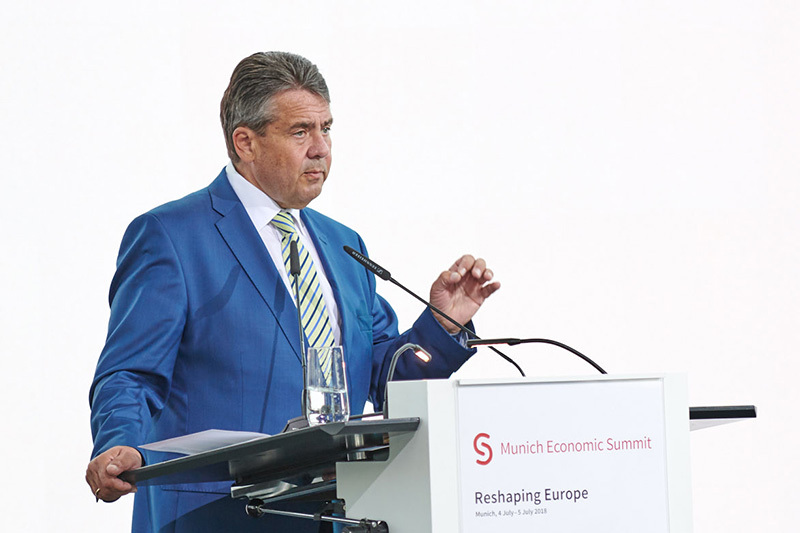 How can Europe solve its inherent crisis and what does it require for a successful relaunch? 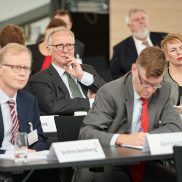 What should be the role, constitution and competences of the EU and the currency union? 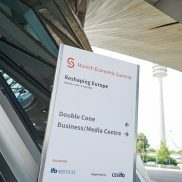 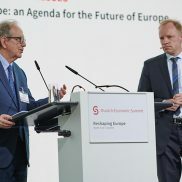 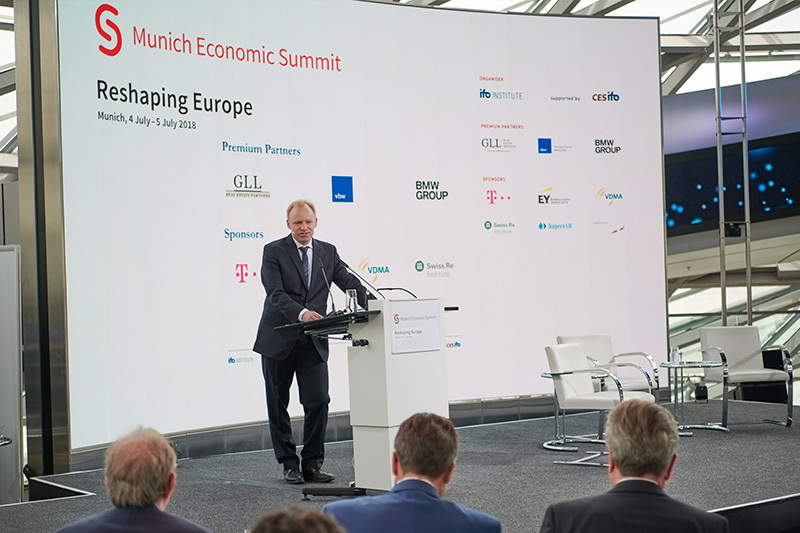 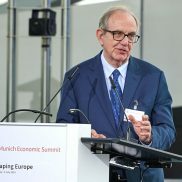 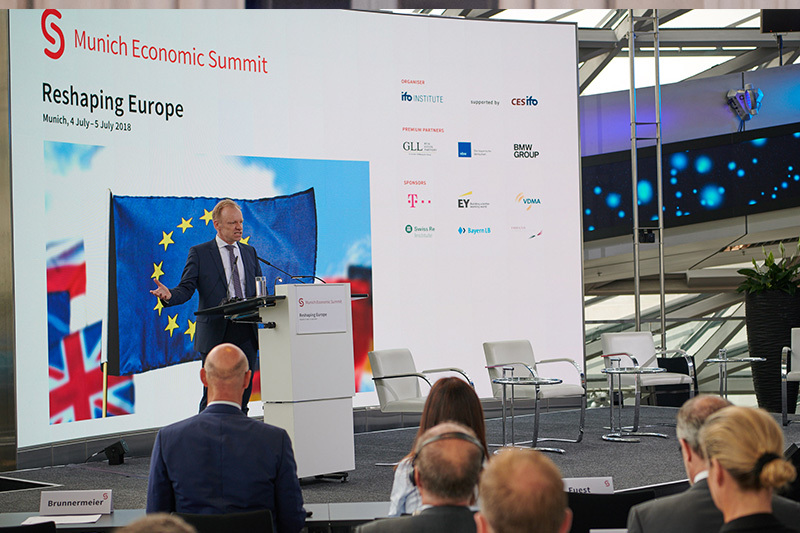 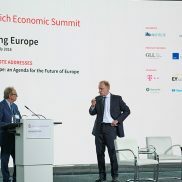 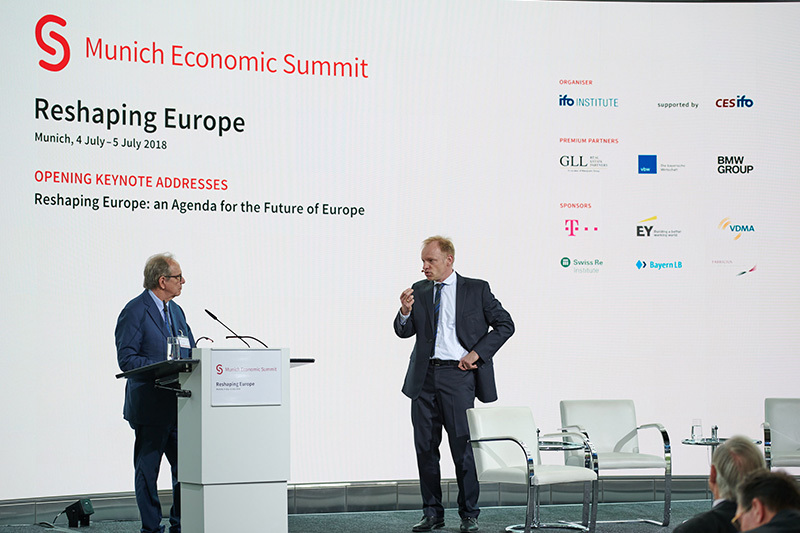 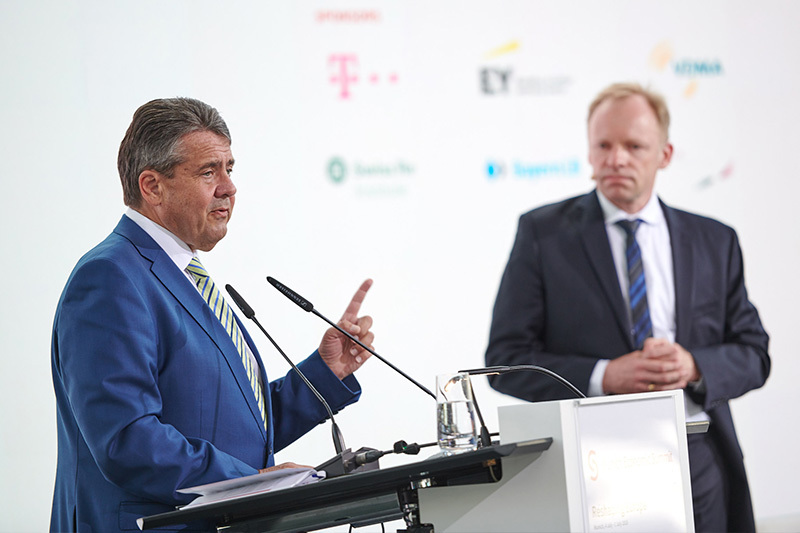 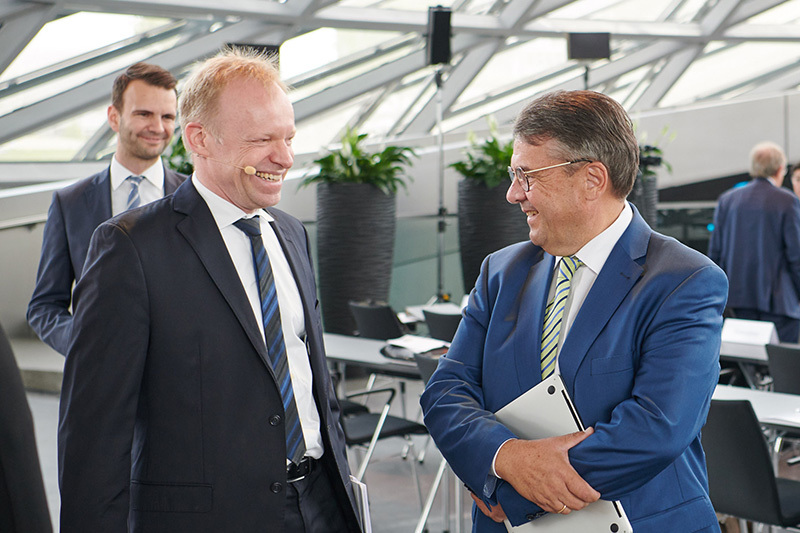 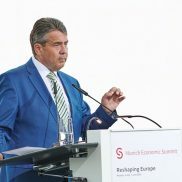 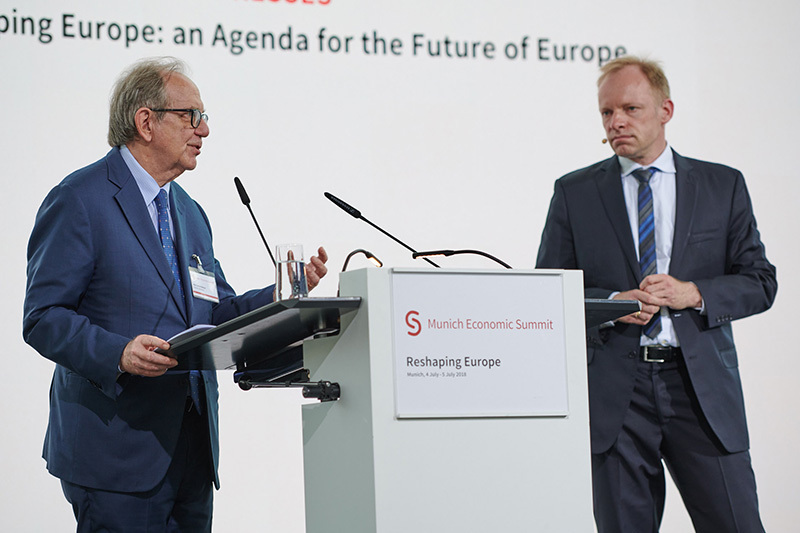 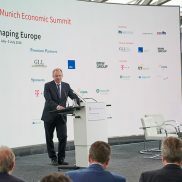 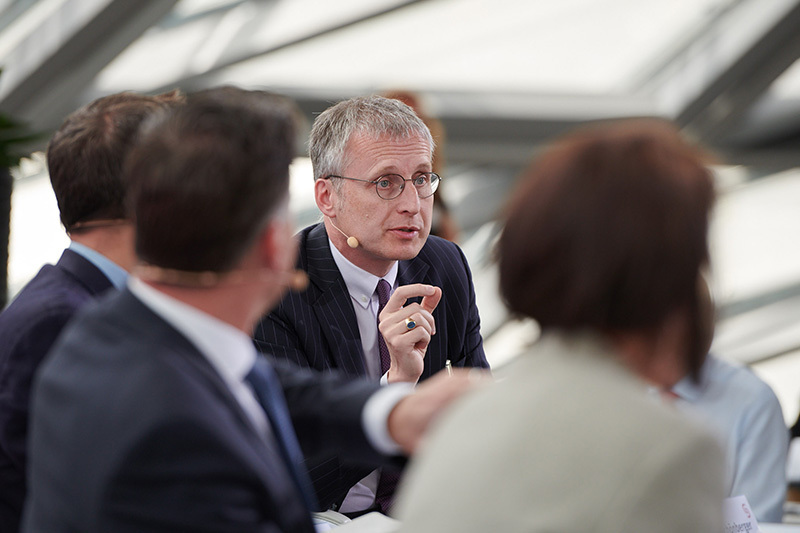 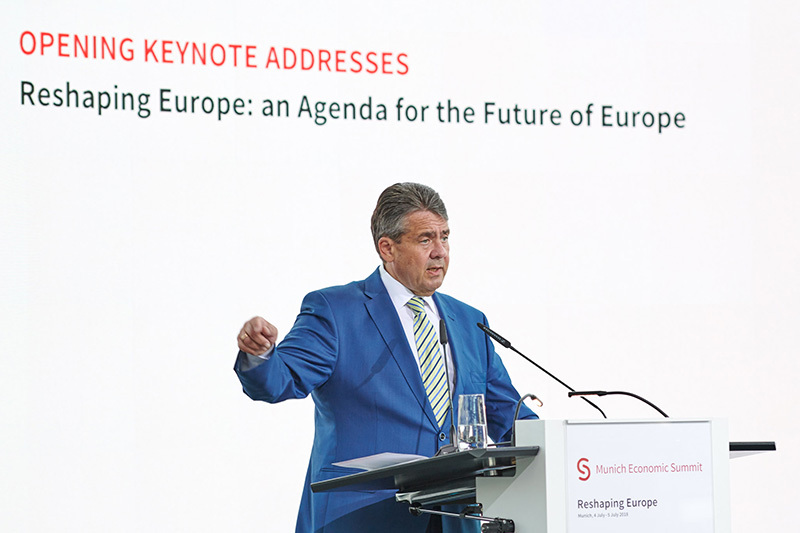 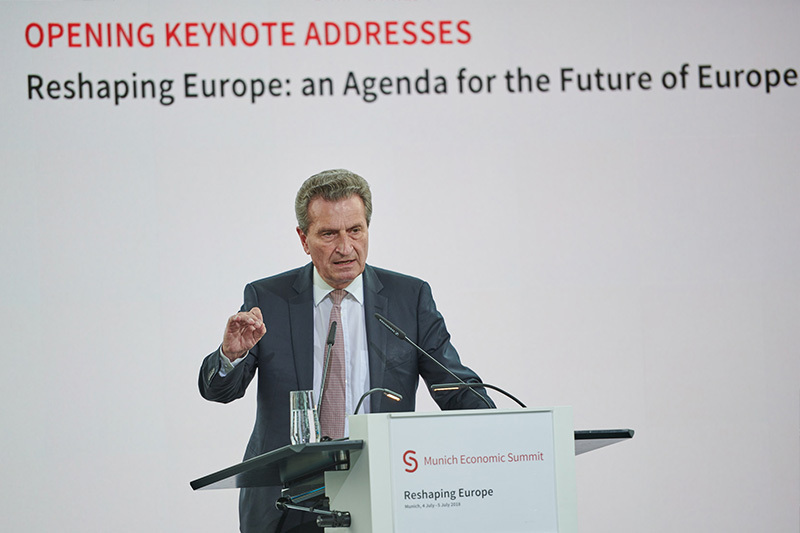 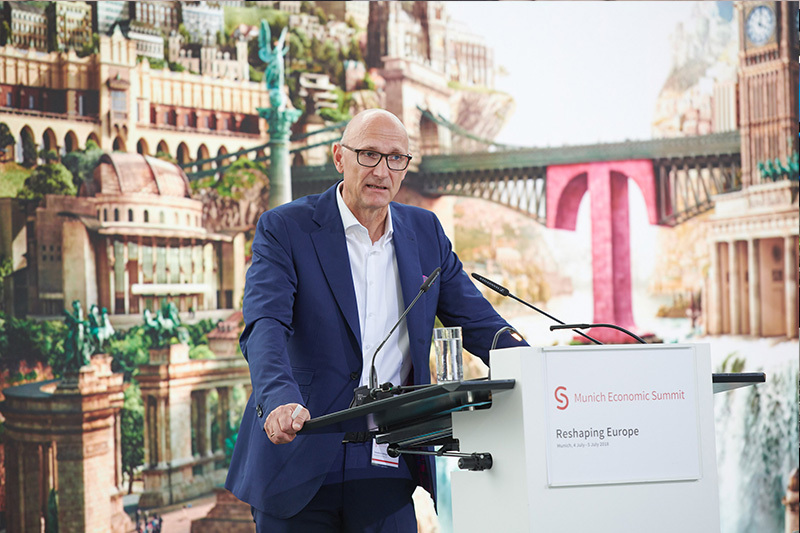 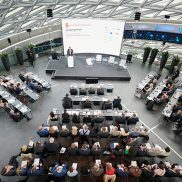 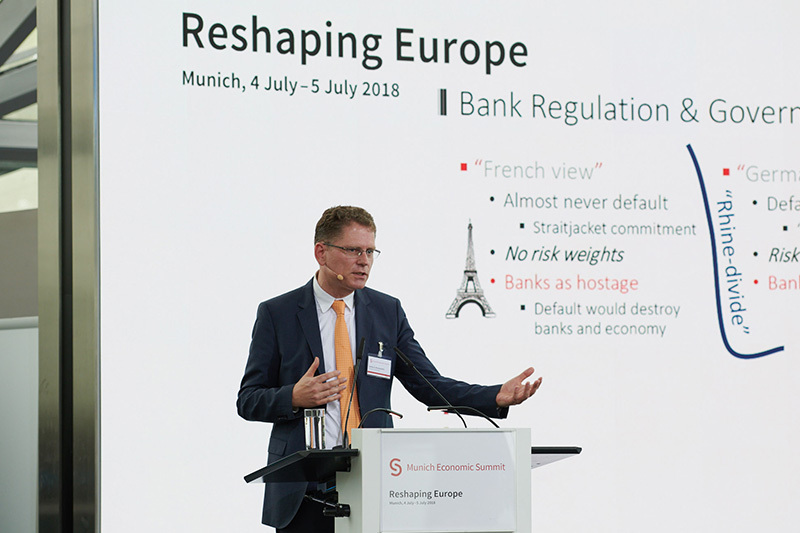 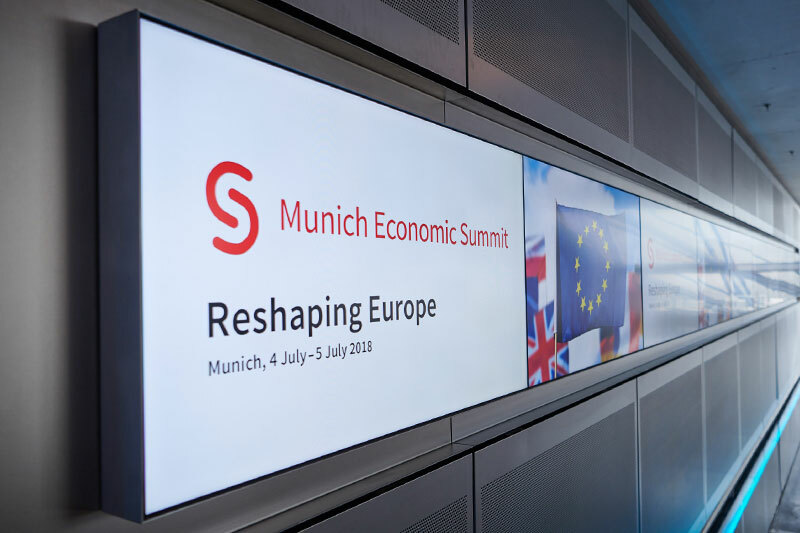 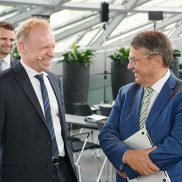 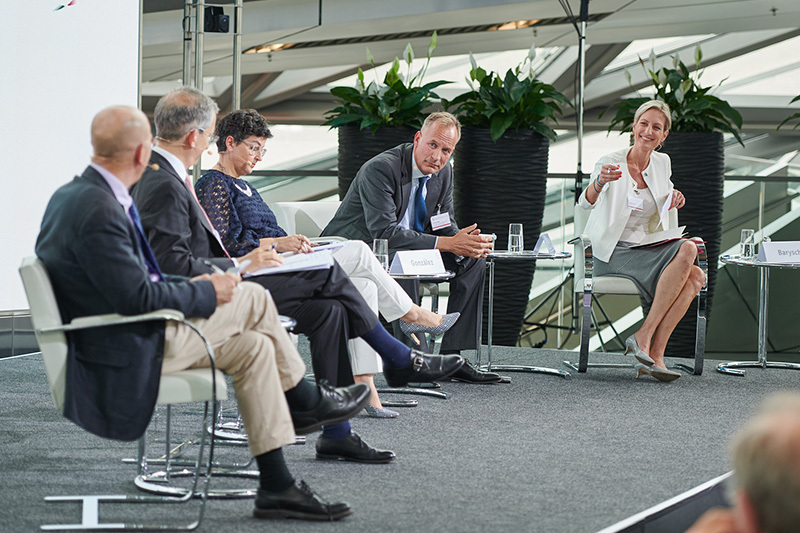 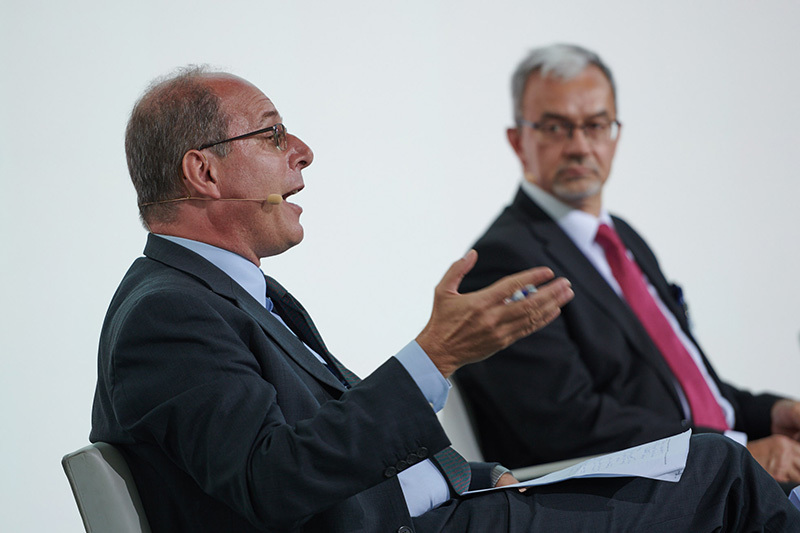 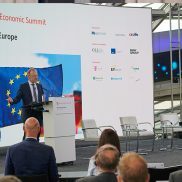 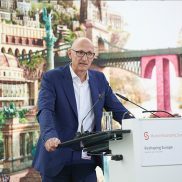 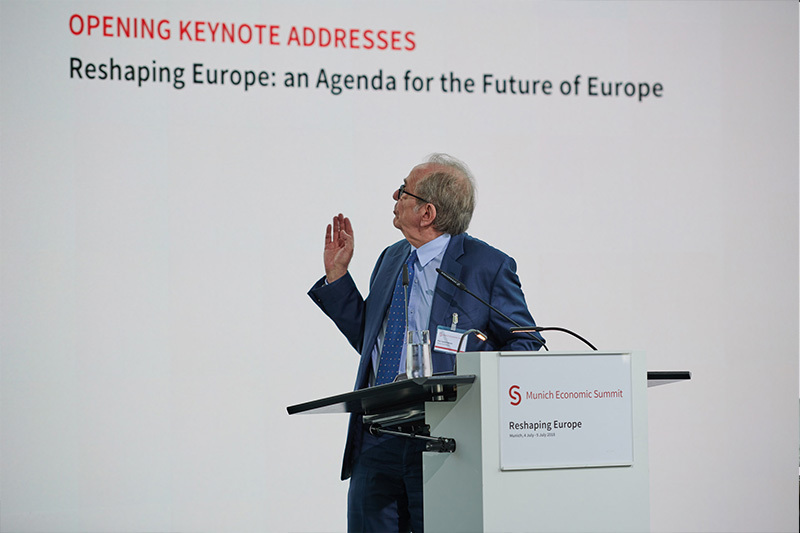 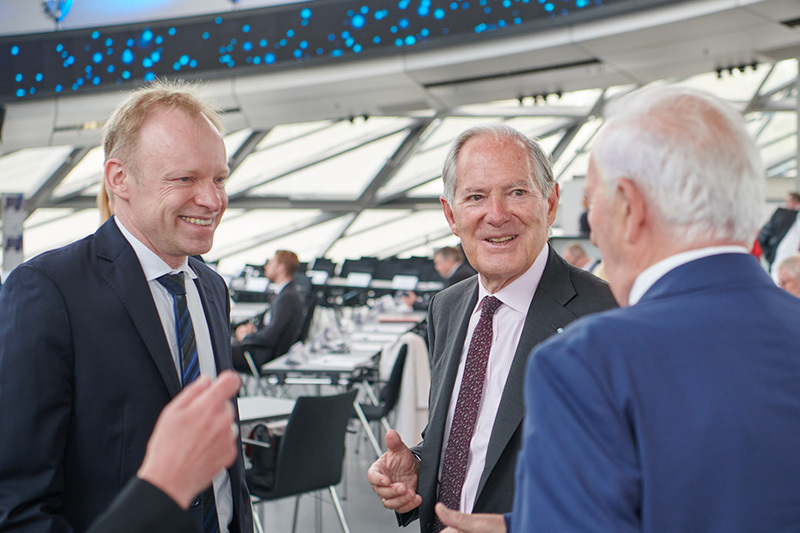 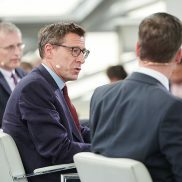 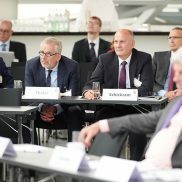 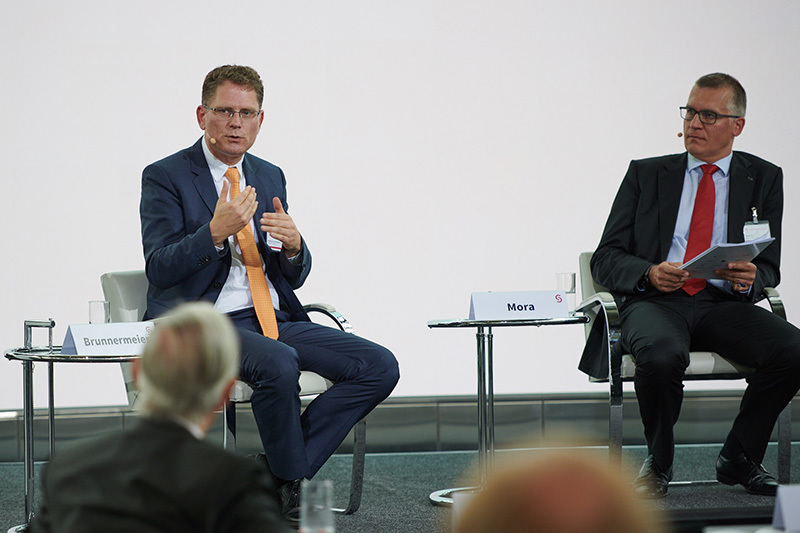 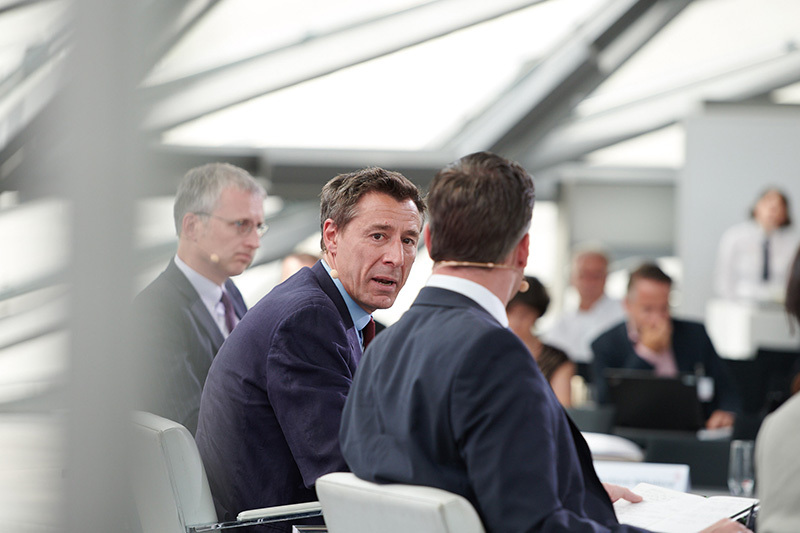 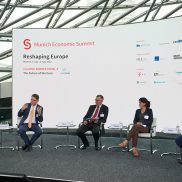 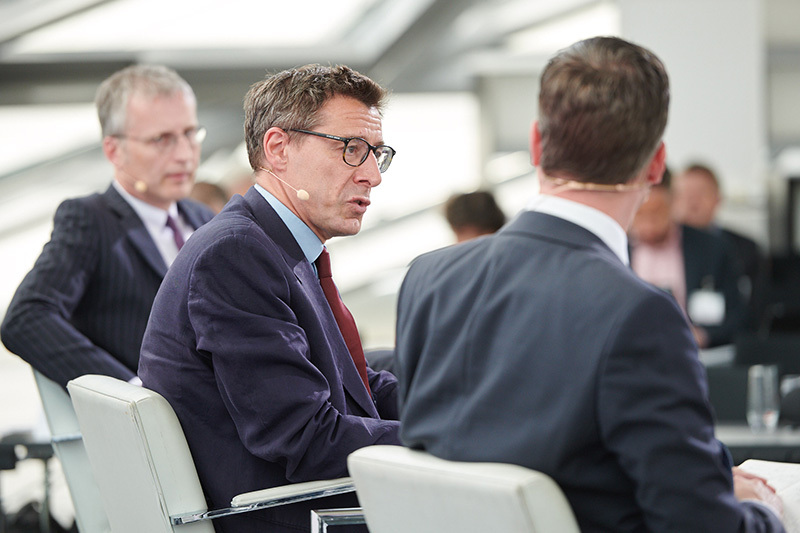 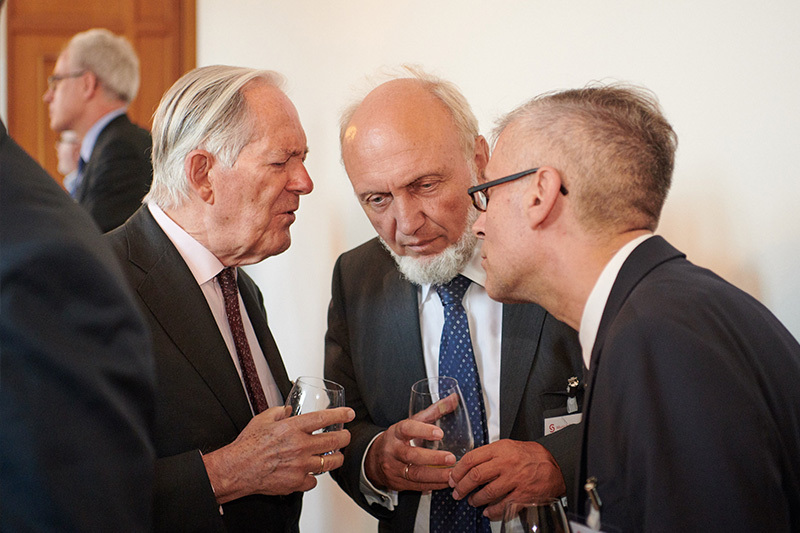 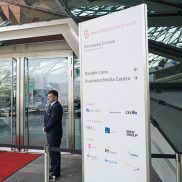 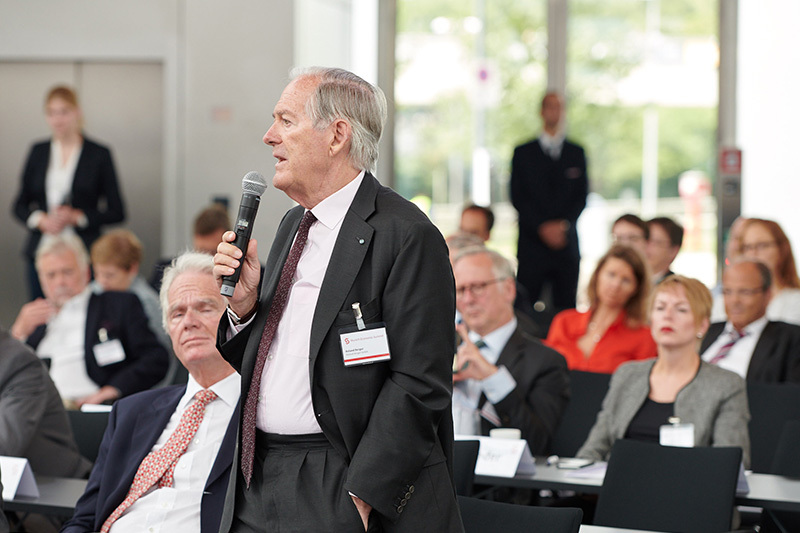 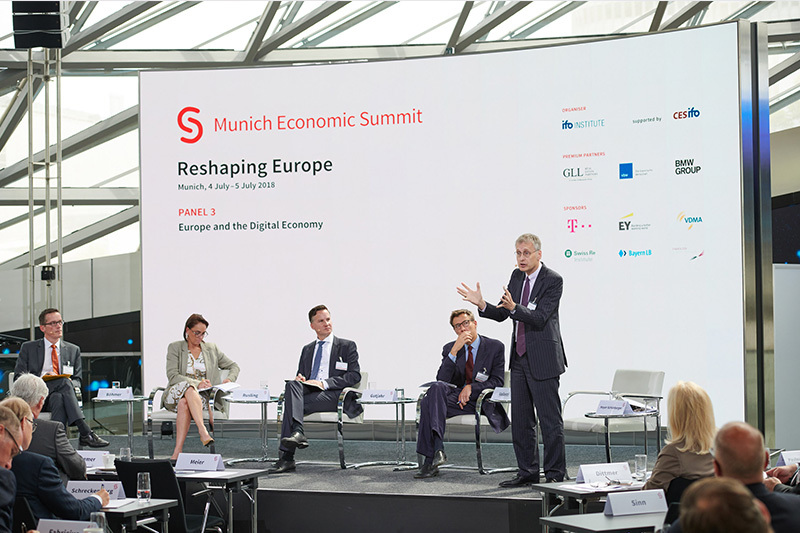 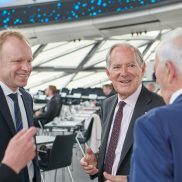 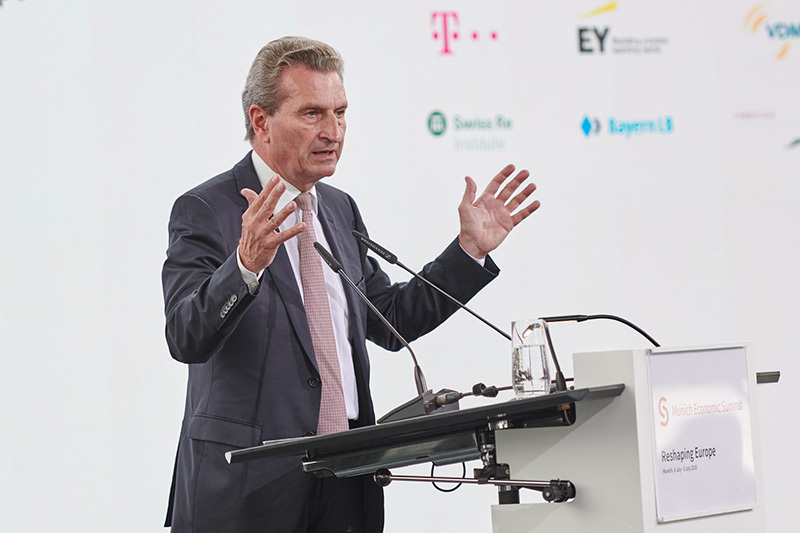 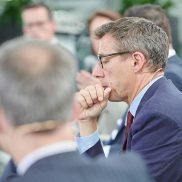 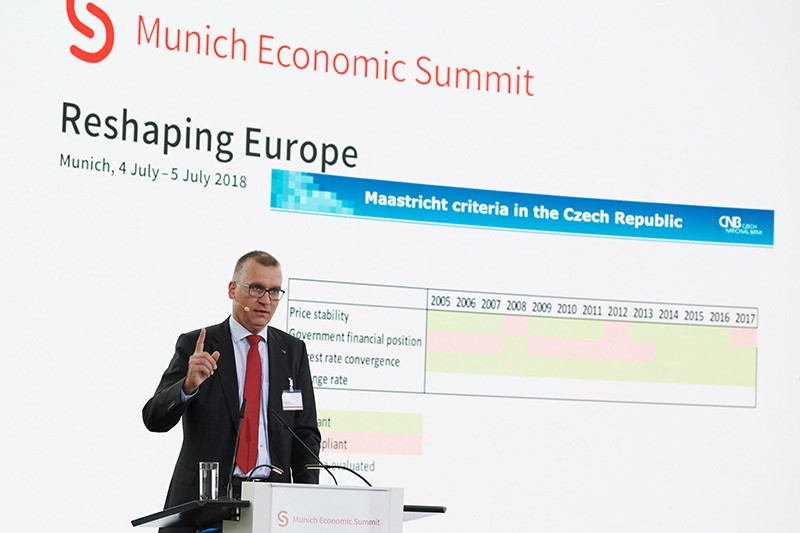 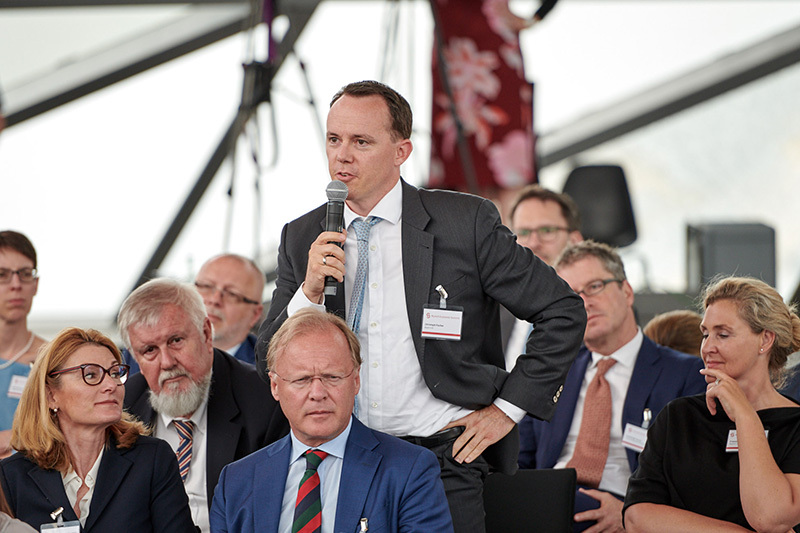 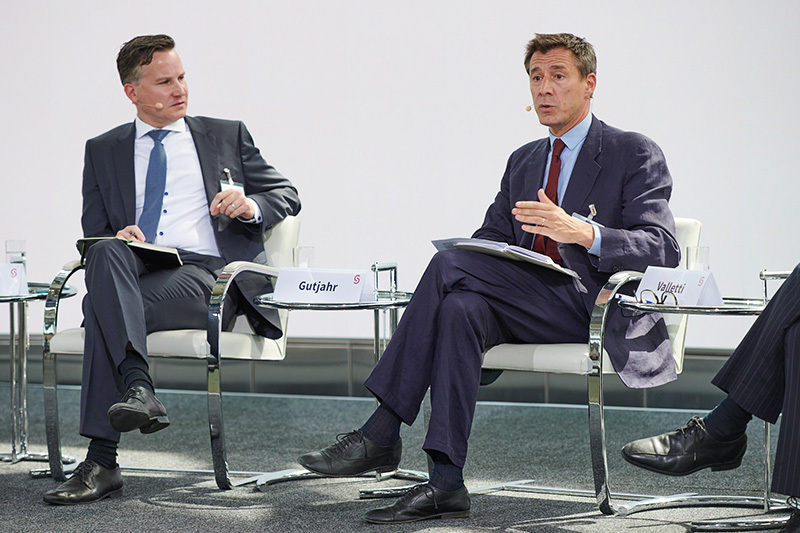 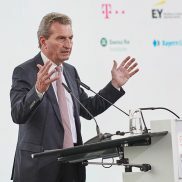 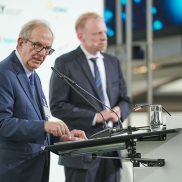 To address these fundamental questions, the Munich Economic Summit as a European economic policy forum matters more than ever. 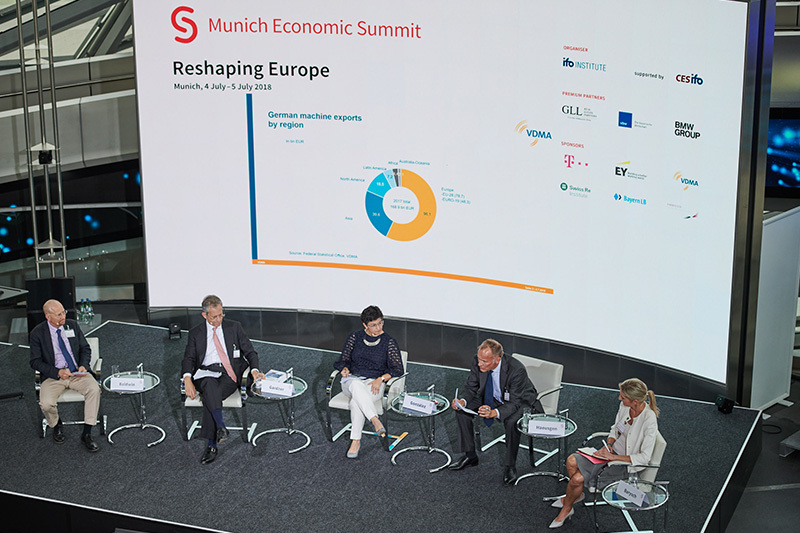 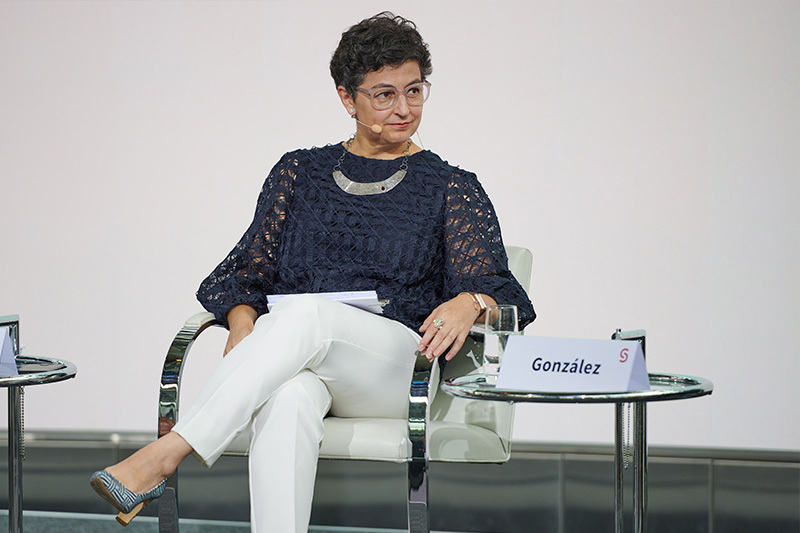 By covering topics that address Europe’s current challenges and opportunities, the summit in 2018 aims to provide constructive and positive contributions to greater European cohesion and prosperous development. 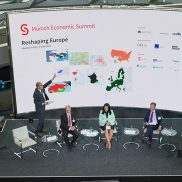 The summit under the topic “Reshaping Europe” will deal with issues like Europe’s role and competitiveness in an uncertain and digital world, the stability of the financial sector, governance of the European Monetary Union and Eurozone Fiscal Policy, as well as the internal constitution, future role and (dis)integration process of the EU. 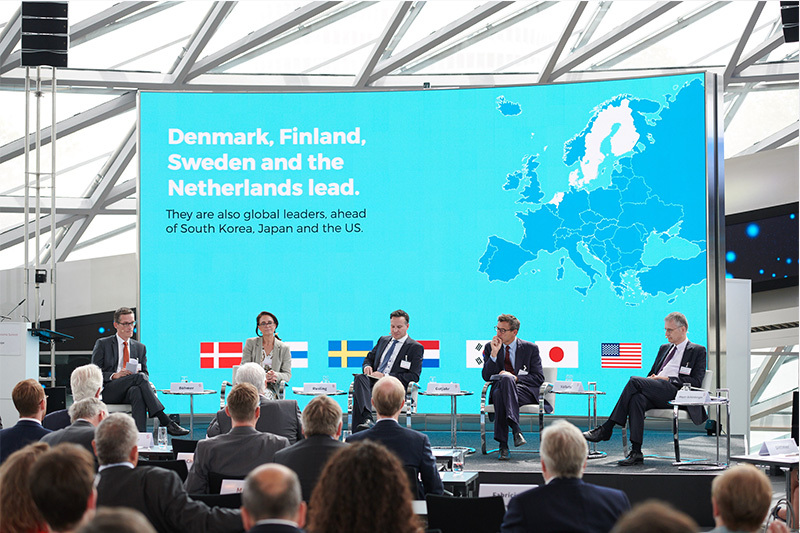 The panel on “The Role and Competitiveness of Europe in a New World Order” will focus on issues spanning globalisation, international trade and migration, trends towards protectionism, the development in European neighbourhood regions and the EU’s future role in all of these areas. 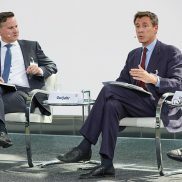 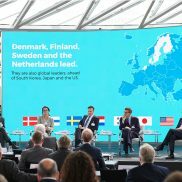 The panel will also discuss the implications of Brexit, a new form of transatlantic relationship, and the ongoing rise of China and the Far East for Europe’s future global role and its competitiveness. 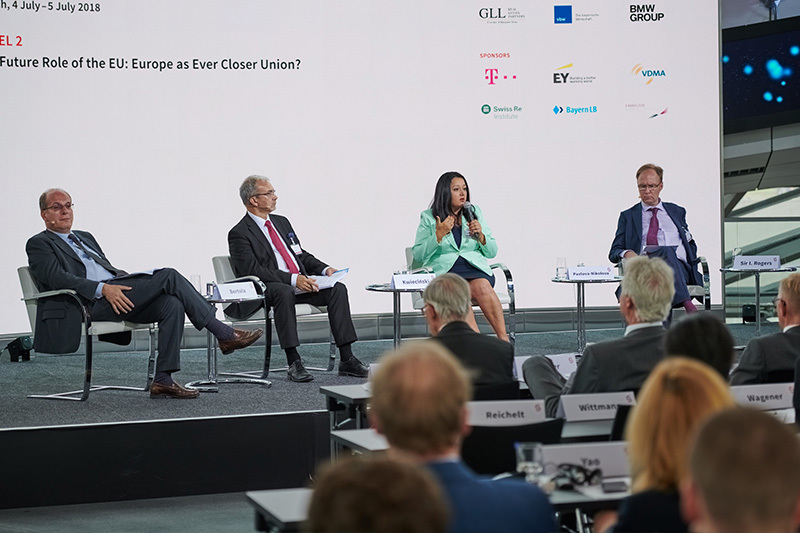 The Future Role of the EU: Europe as Ever Closer Union? 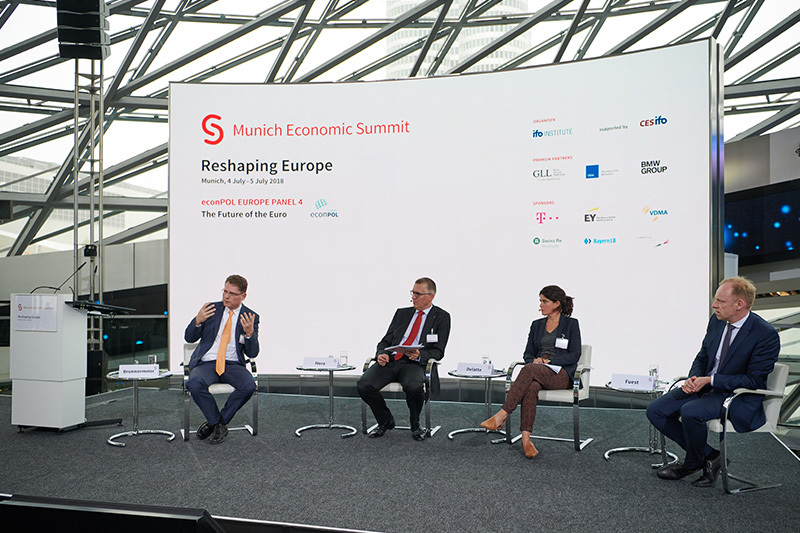 The panel on “The Future Role of the EU: Europe as Ever Closer Union?” will focus on the internal constitution, the (dis)integration process, as well as the EU’s future role in promoting greater European cohesion, prosperity, and the closer union of people. 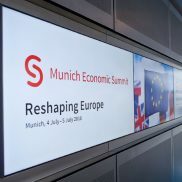 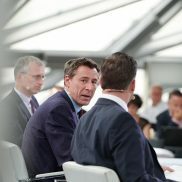 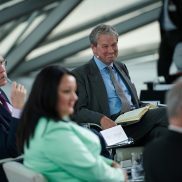 The issues to be addressed will span the impact of UK’s decision to leave the EU, the challenge of ongoing migration pressures, the rise of “anti-EU” movements and political parties, expectations of Eastern European member states, and the future role of the EU in labour market, social and fiscal policy, as well as market regulations in Europe. 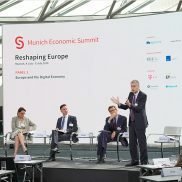 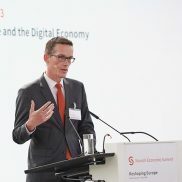 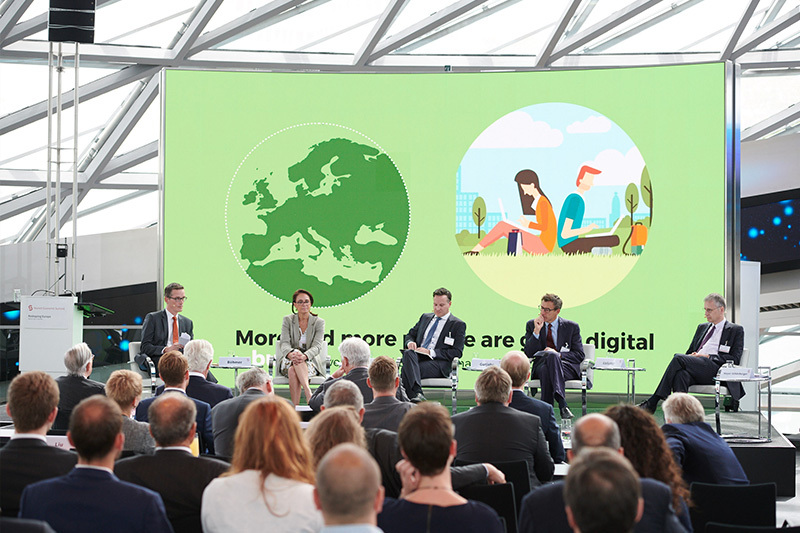 The panel on “Europe and the Digital Economy” will focus on the competitiveness of Europe’s economy in a digital world. 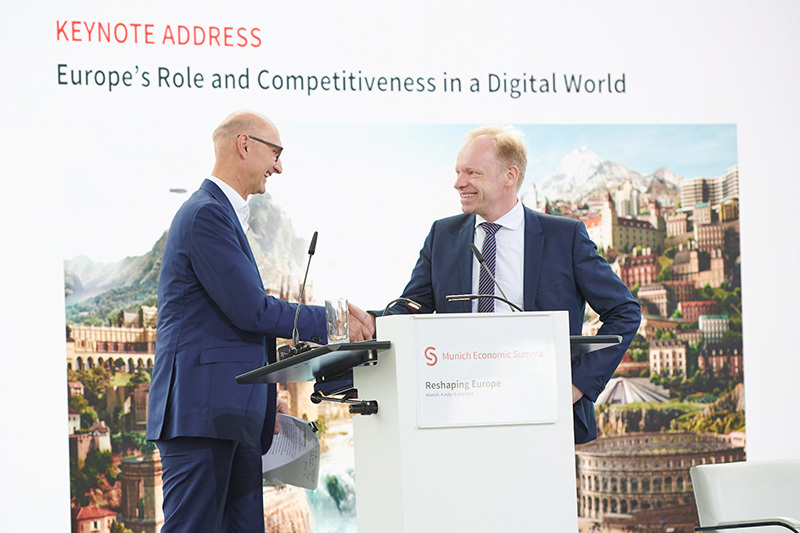 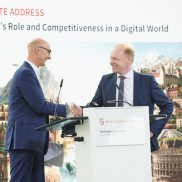 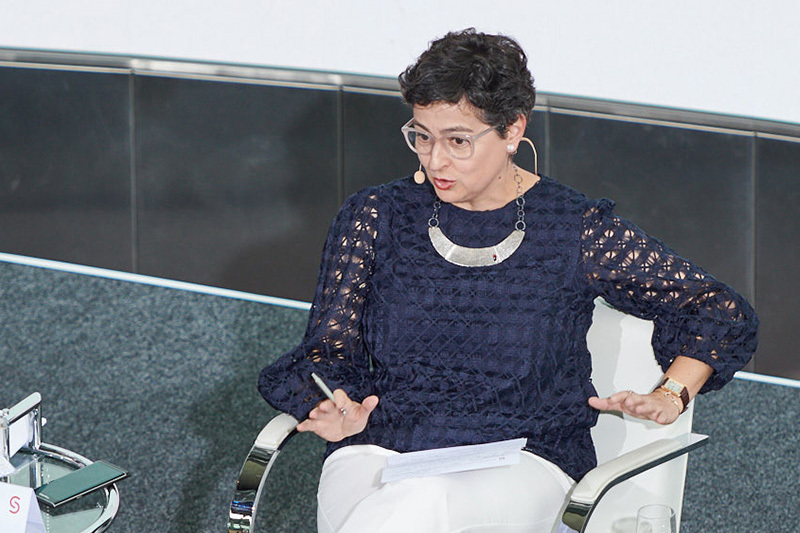 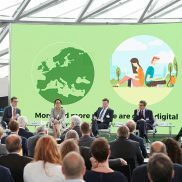 The discussion will cover issues related to the effect of digitalisation on the economy and the labour market, regulations and taxation, promoting digital start-ups, and the EU’s role in all of these areas. 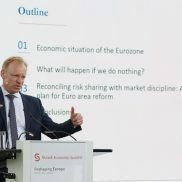 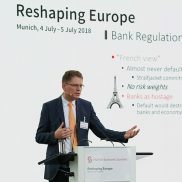 Eurozone Reform: What is Missing? 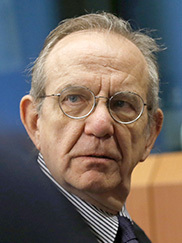 The success or failure of the European Union depends heavily on the future development of the Eurozone. 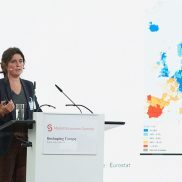 While the Eurozone is gradually recovering from a long crisis, Eurosceptic voices and movements persist in some parts of Europe. 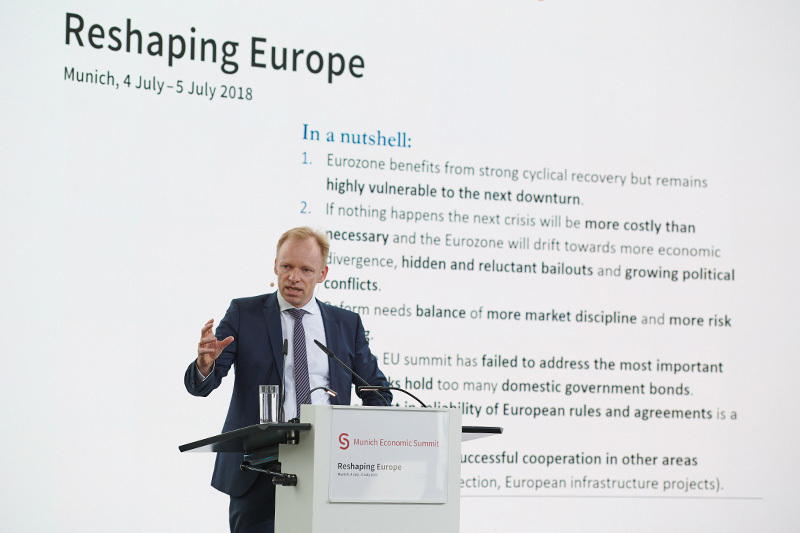 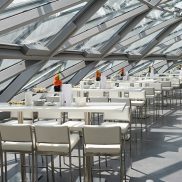 It is indeed questionable whether the architecture of the Eurozone is sustainable and would survive another economic or political crisis. 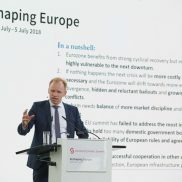 Currently, representatives of European governments and the EU are actively discussing a reform agenda for the Eurozone, including ideas like the introduction of a European Minister of Finance, a European Monetary Fund, and new budgetary instruments. 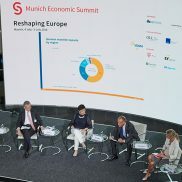 The panel will discuss what reform and future governance of the euro area should look like in order to achieve a sustainable and incentive-compatible architecture, prosperous development and greater cohesion among its members. 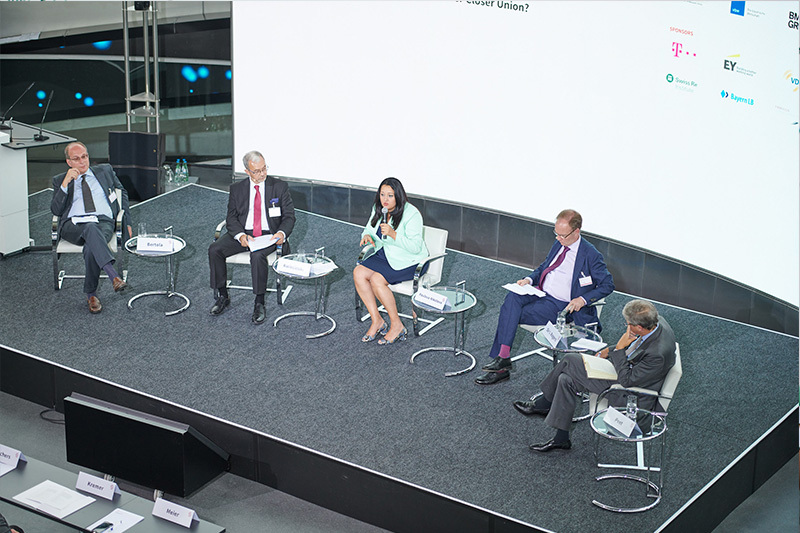 The panel will address questions like: are the euro area and the European financial sector stabilised and sustainable – where do we stand? 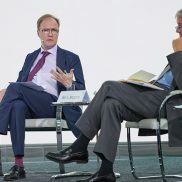 How can the fiscal discipline of sovereigns be strengthened? 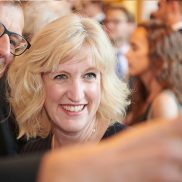 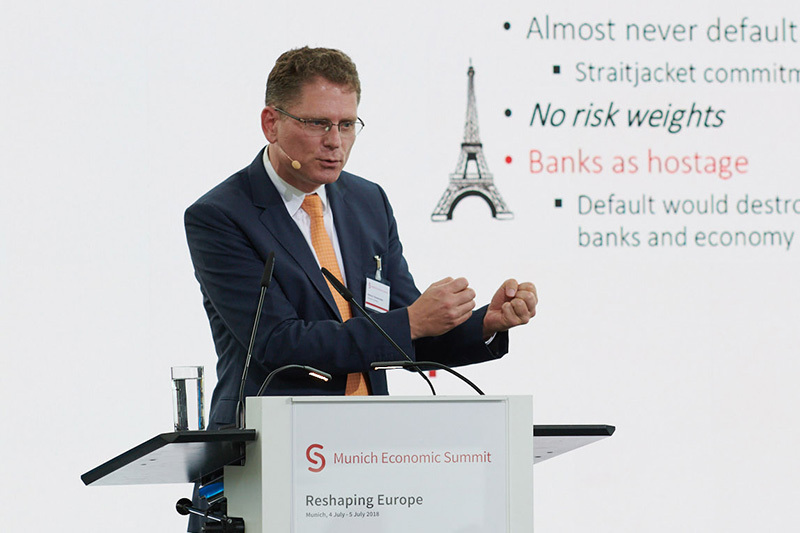 Do we need more elements of risk-sharing or a focus on risk reduction? 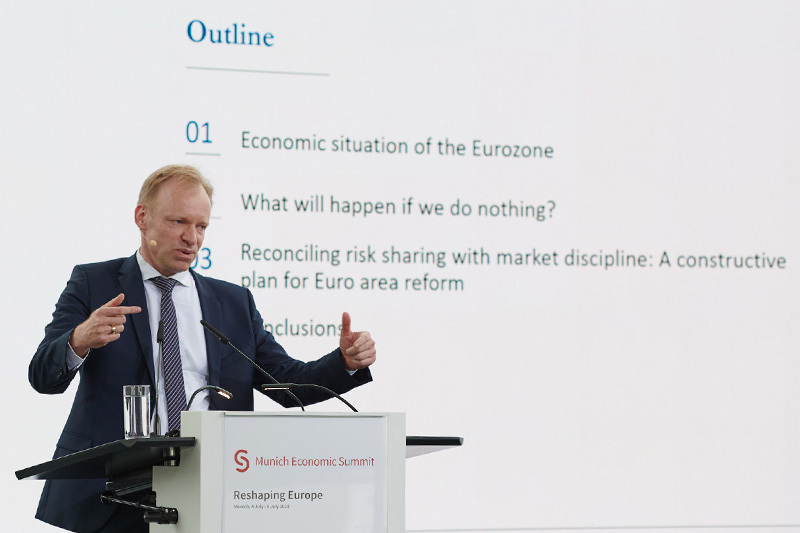 How can risk-sharing and market-discipline be reconciled with achieving an incentive-compatible architecture in the currency union? 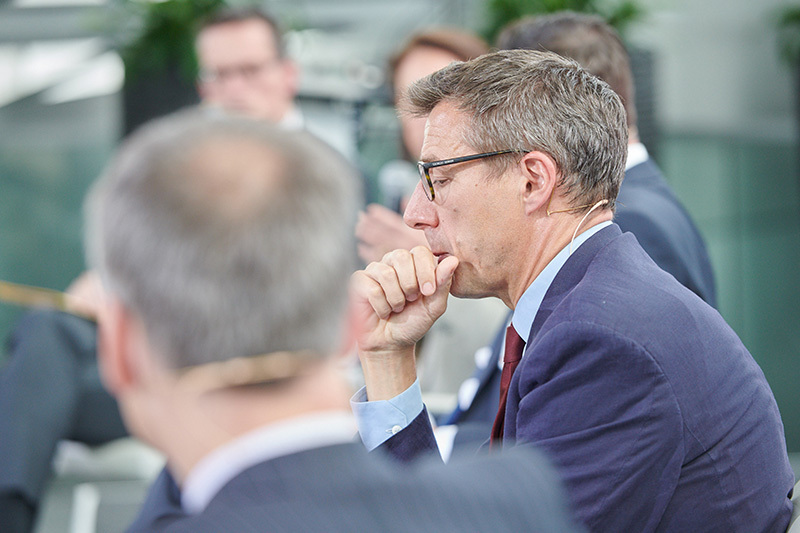 Should the European Stability Mechanism (ESM) be transformed into a European Monetary Fund? 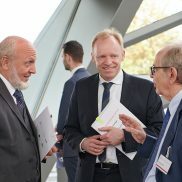 Does the currency union need an exit clause and viable insolvency procedure for its member states? 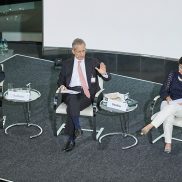 How should TARGET-II imbalances be managed in the future? 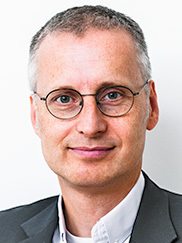 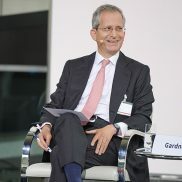 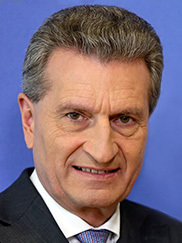 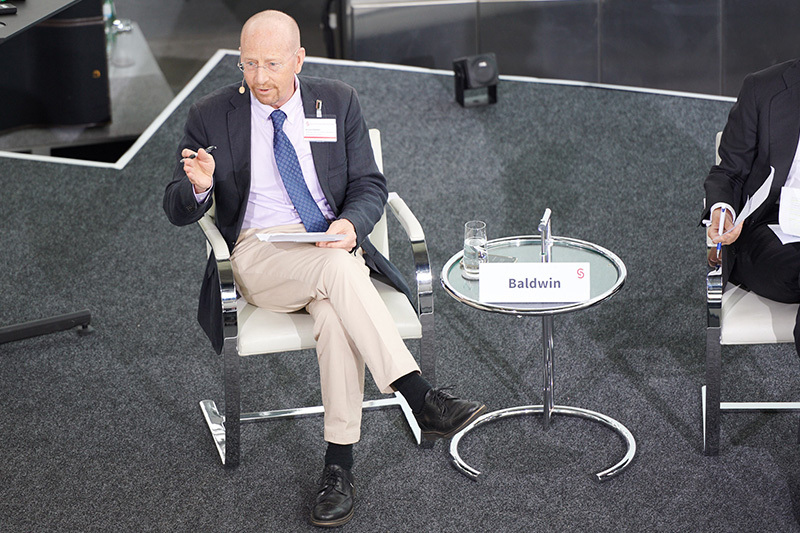 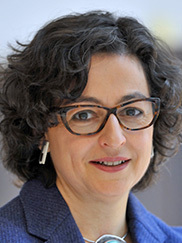 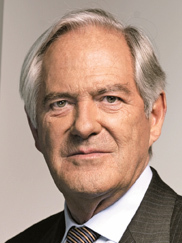 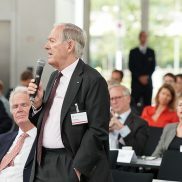 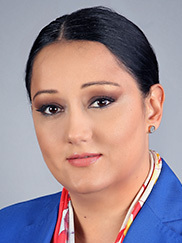 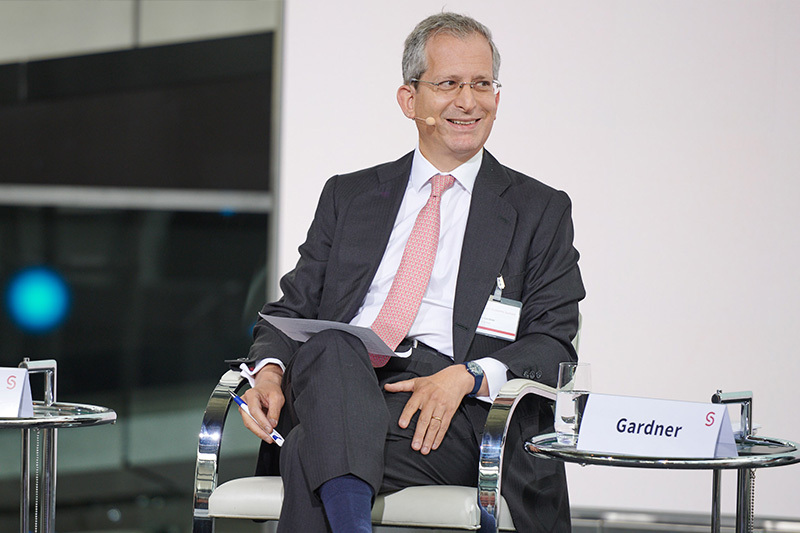 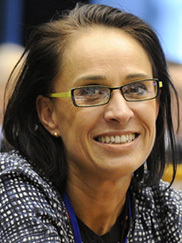 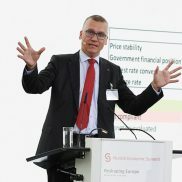 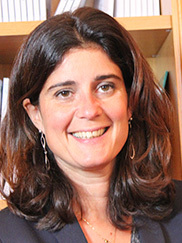 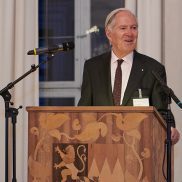 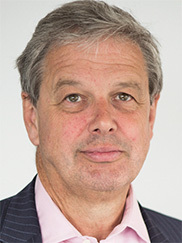 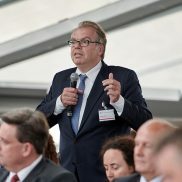 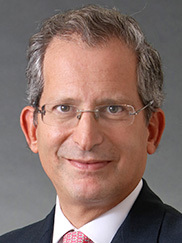 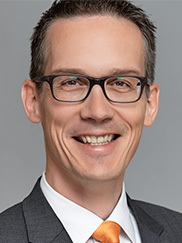 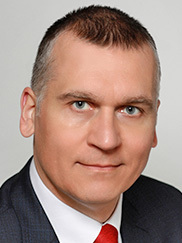 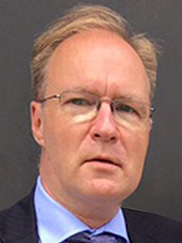 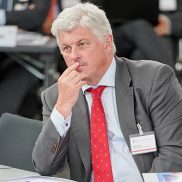 2007 – Chairperson of the Executive Board of the Society for the Promotion of Economic Research (Friends of the ifo Institute) e.V. 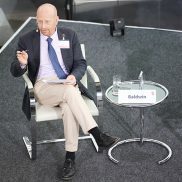 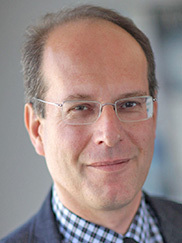 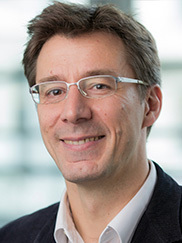 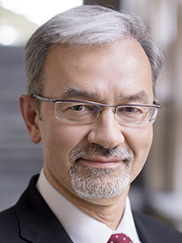 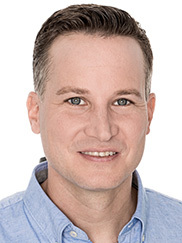 He has held various academic positions in Italian and foreign universities, including at the University of Rome, College of Europe (Bruges and Warsaw), Université Libre de Bruxelles, University of Urbino, Universidad de la Plata, and University of Tokyo. 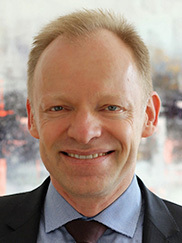 He has published widely in international academic journals and is the author and editor of several books. 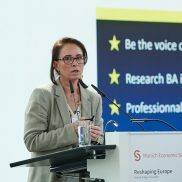 MA, Public Administration and European Integration, Varna Free University "Chernorizets Hrabar"
The ifo Institute is one of Europe’s leading economic research institutes and has a very high-profile media presence. 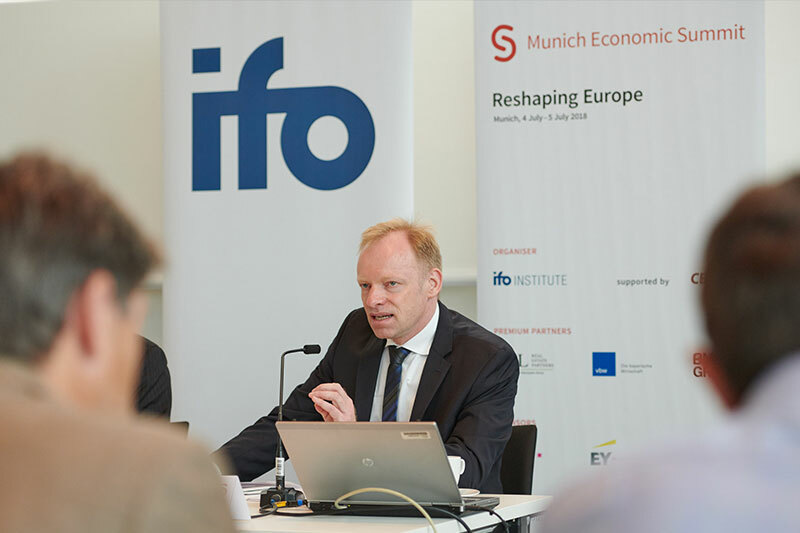 The ifo Institute forms a bridge between academic research and public discourse. 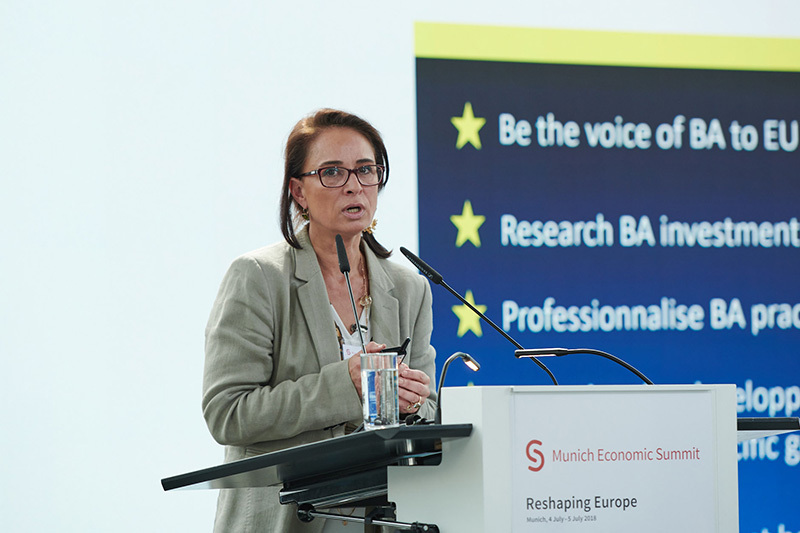 It focuses on applied economic research with clear policy implications with a view to achieving greater stability, prosperity and cohesion for Europe and the world. 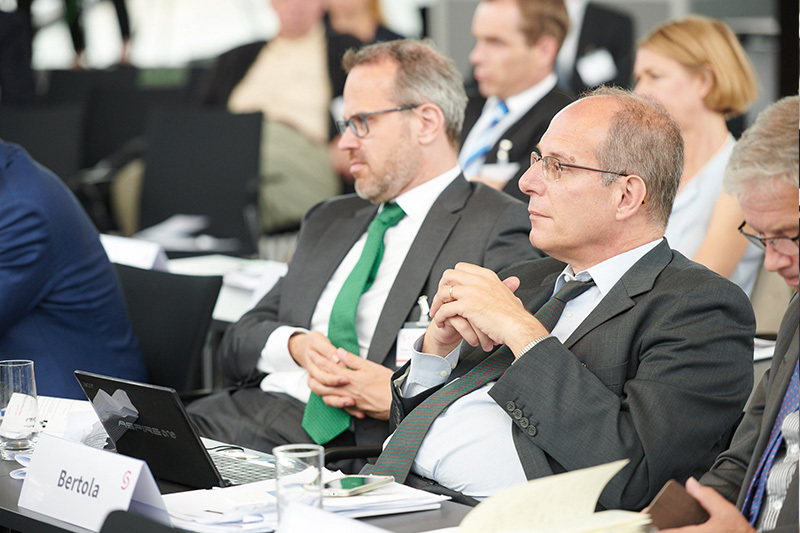 It strives to comply with the highest scientific standards and aims to play a policy advisory role and contribute to policy debate. 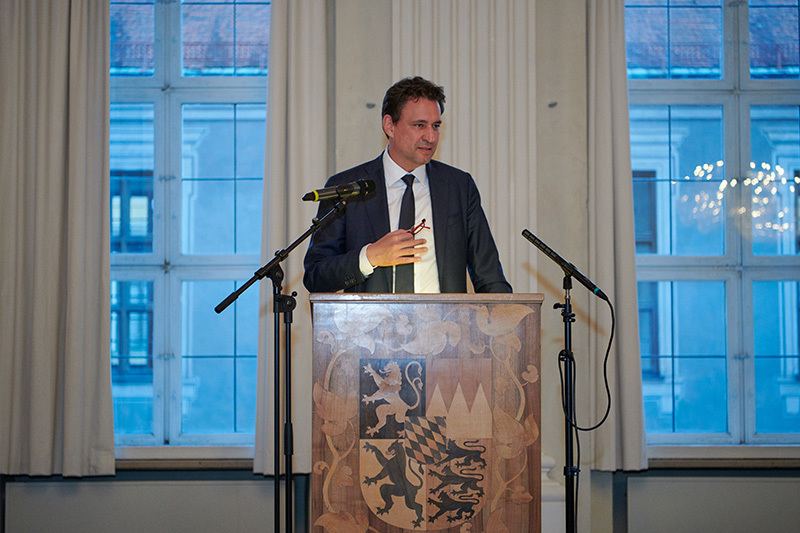 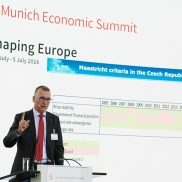 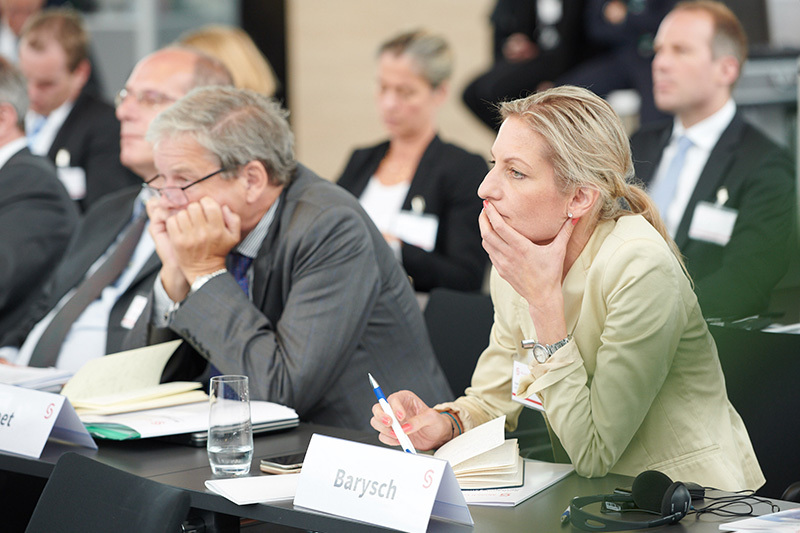 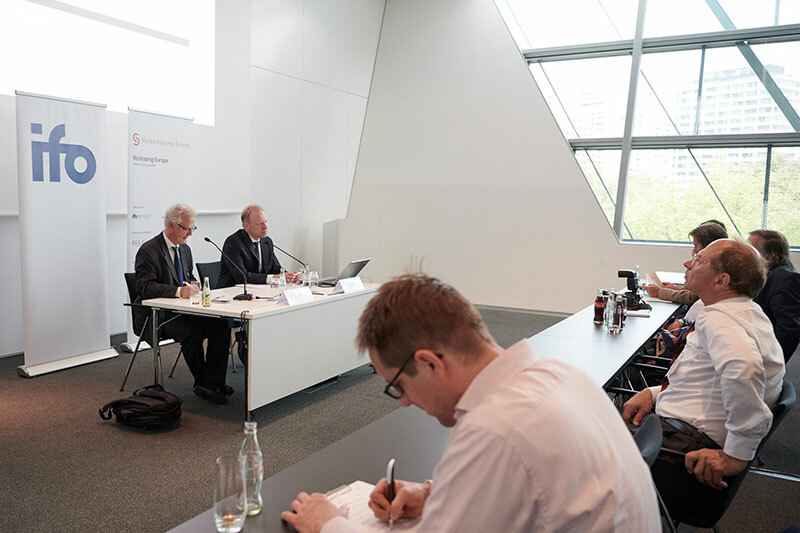 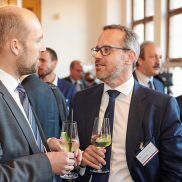 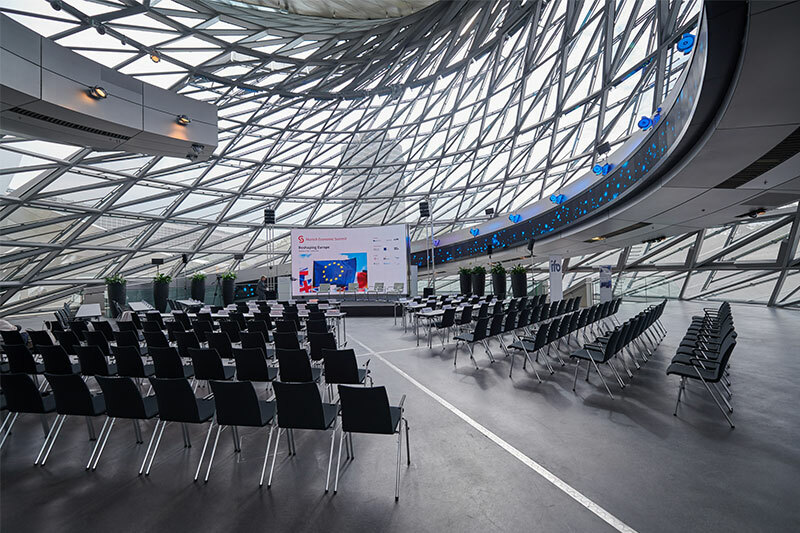 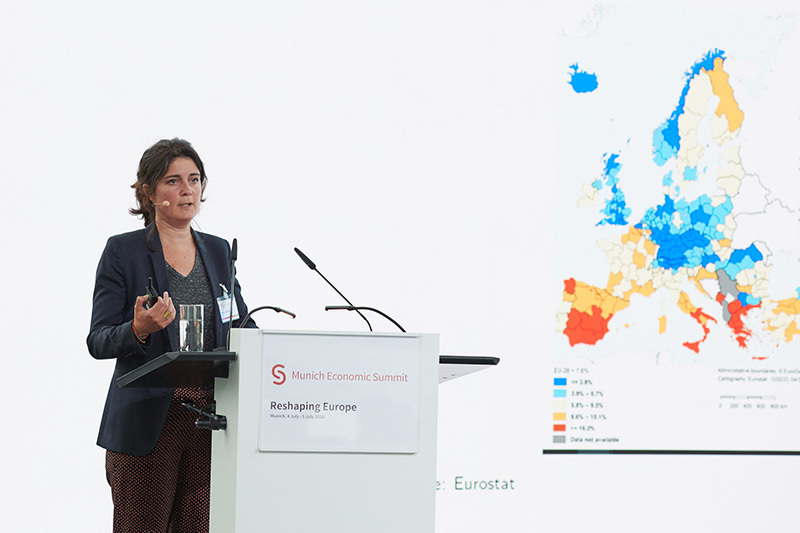 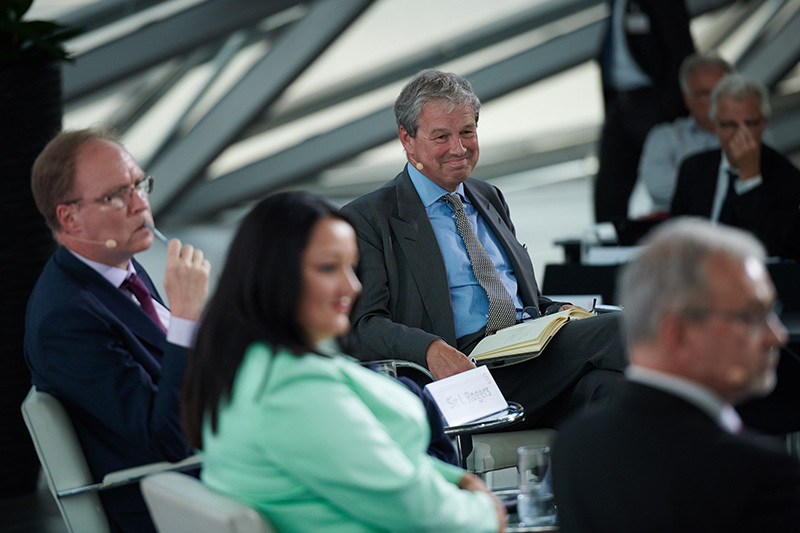 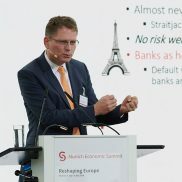 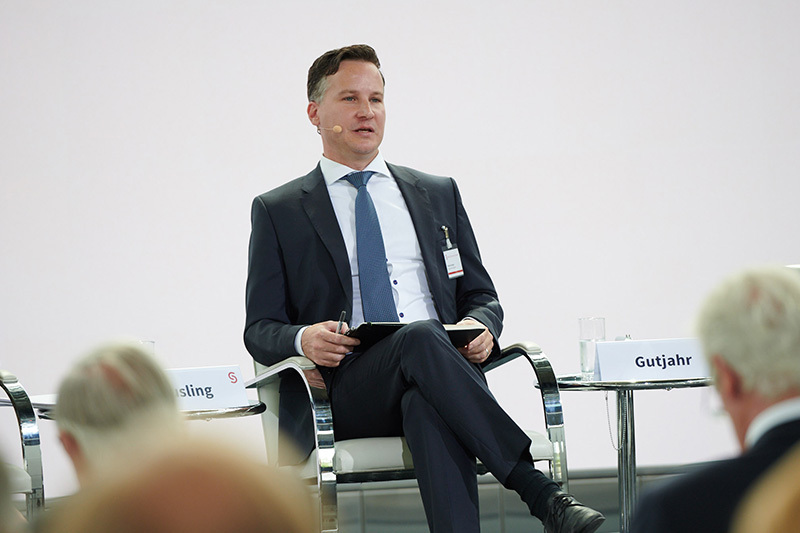 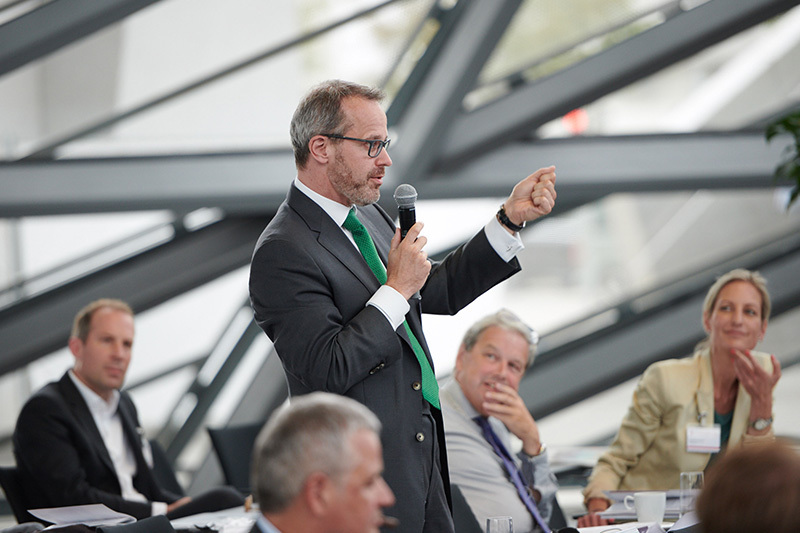 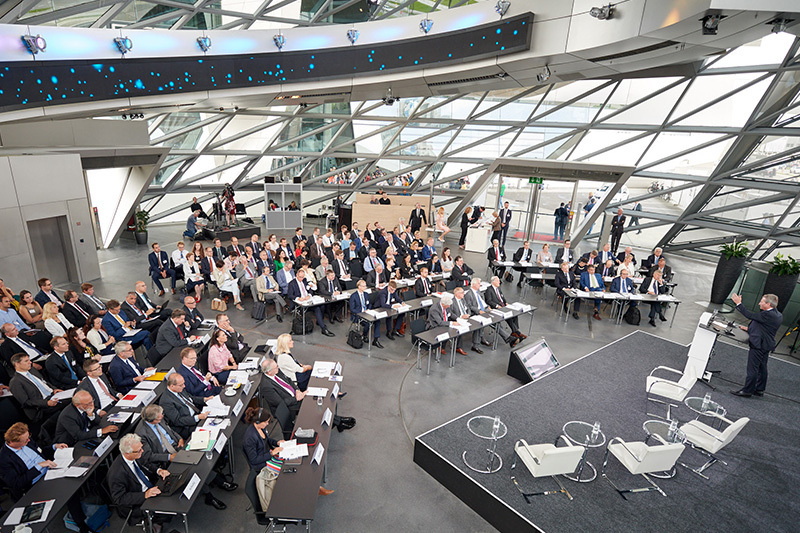 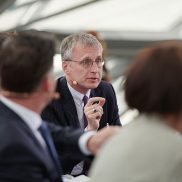 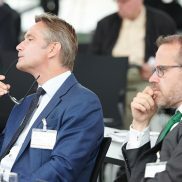 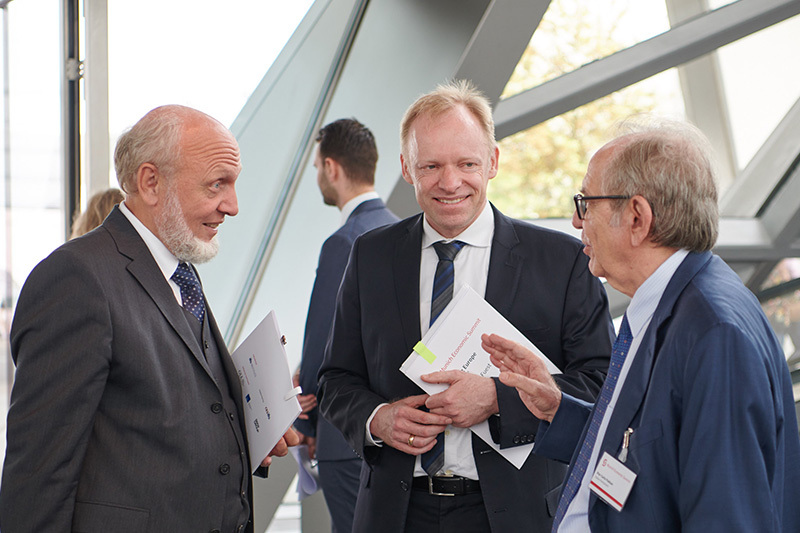 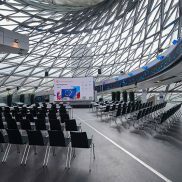 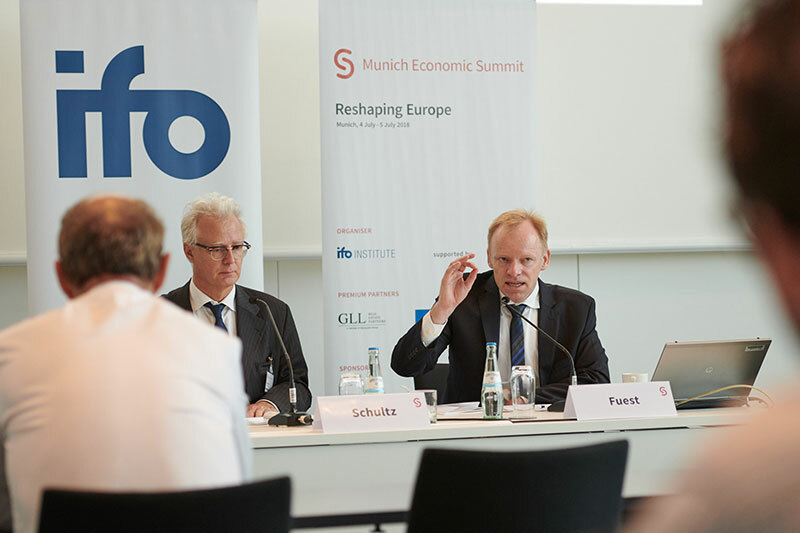 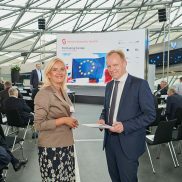 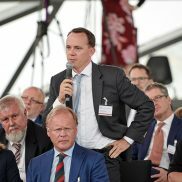 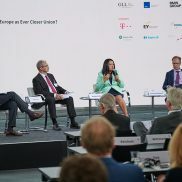 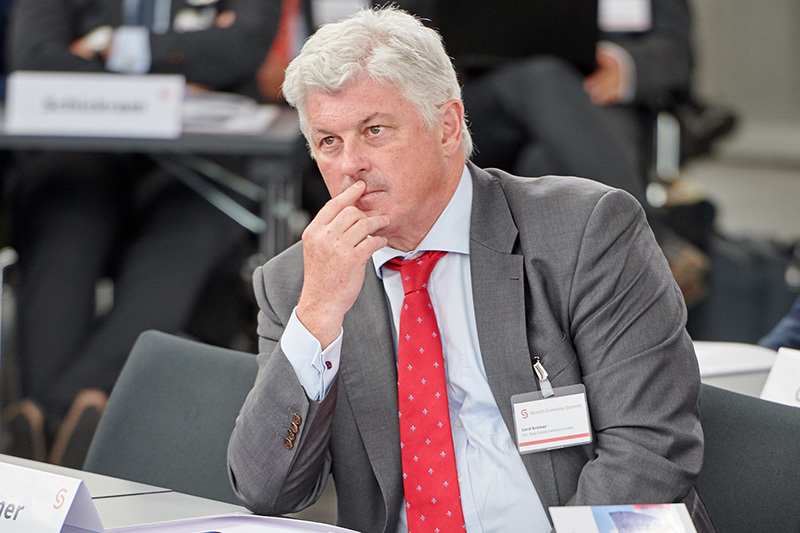 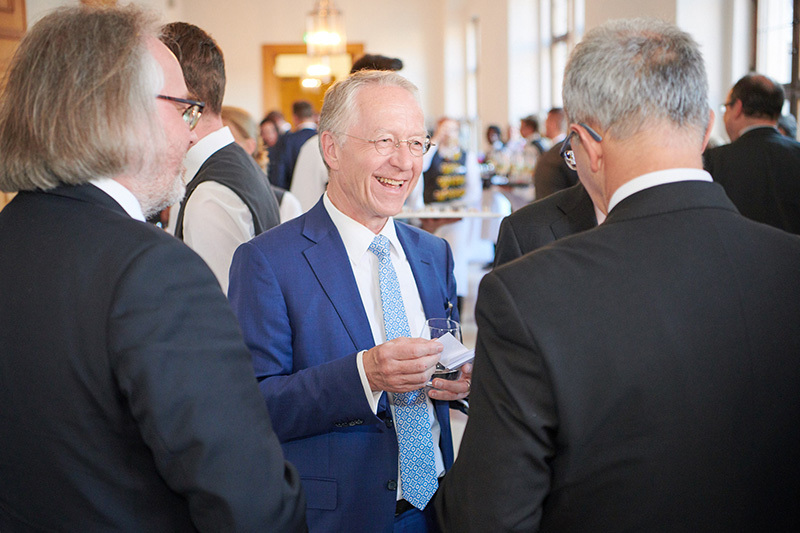 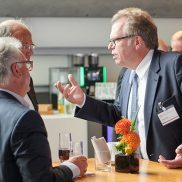 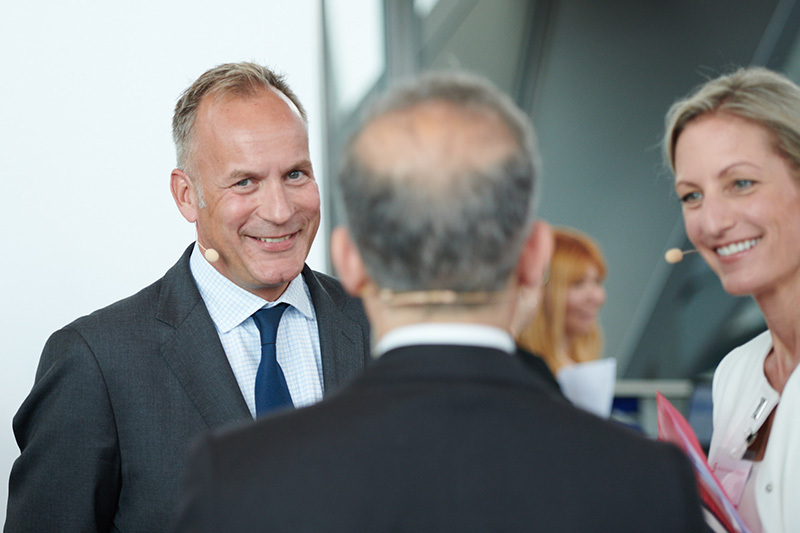 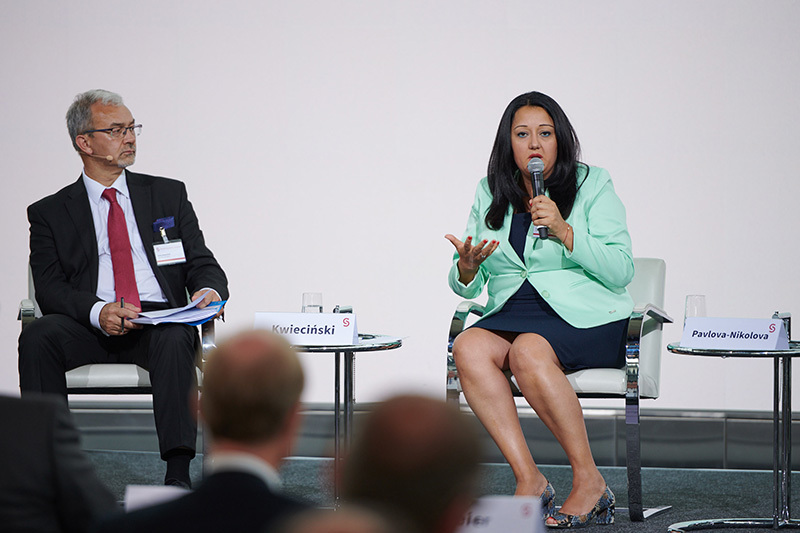 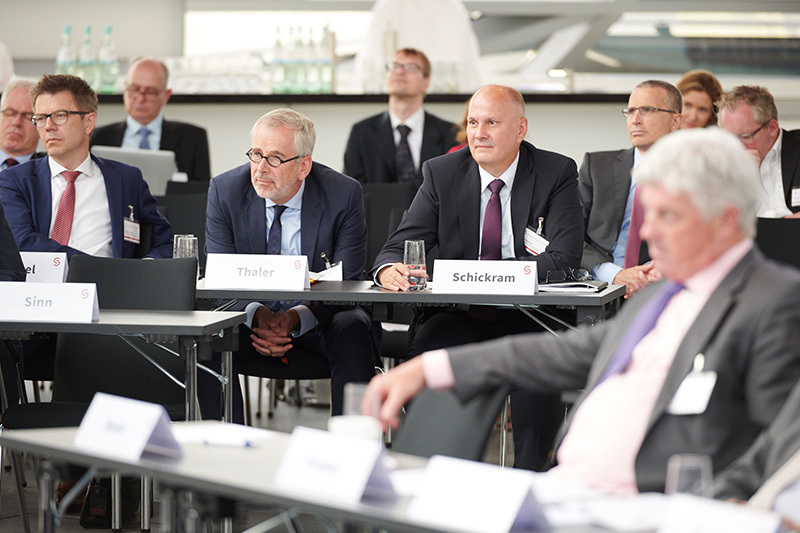 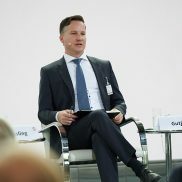 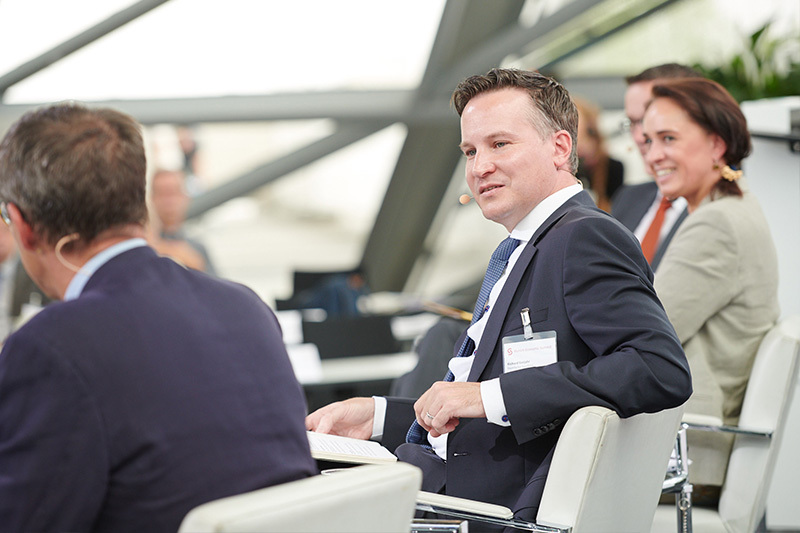 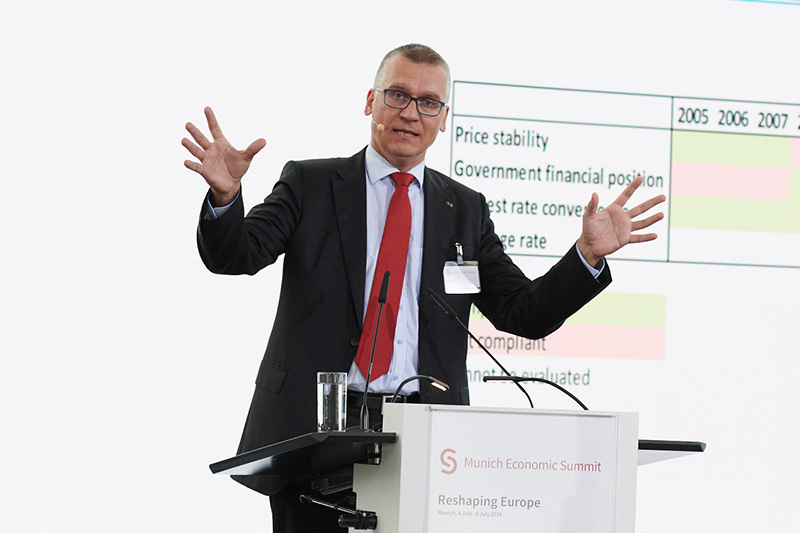 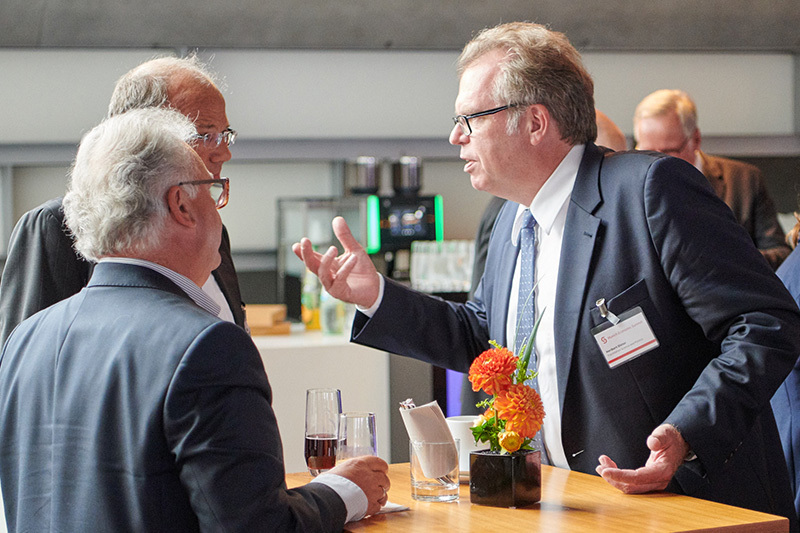 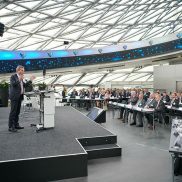 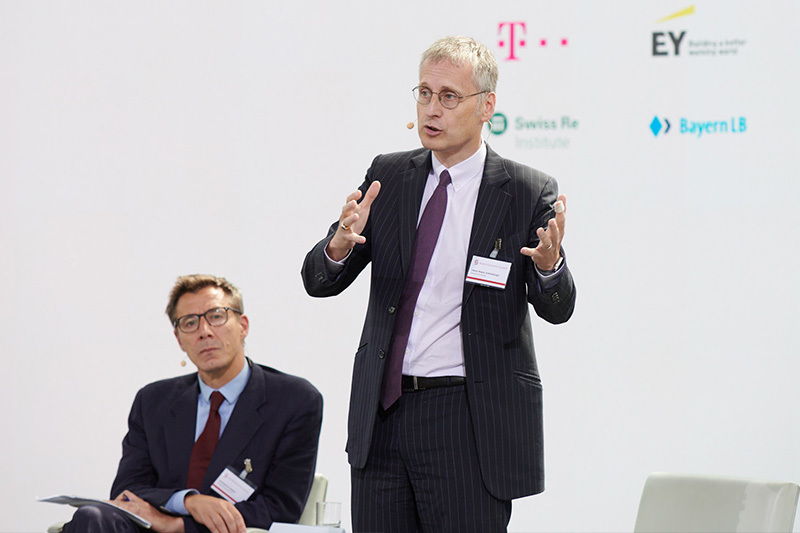 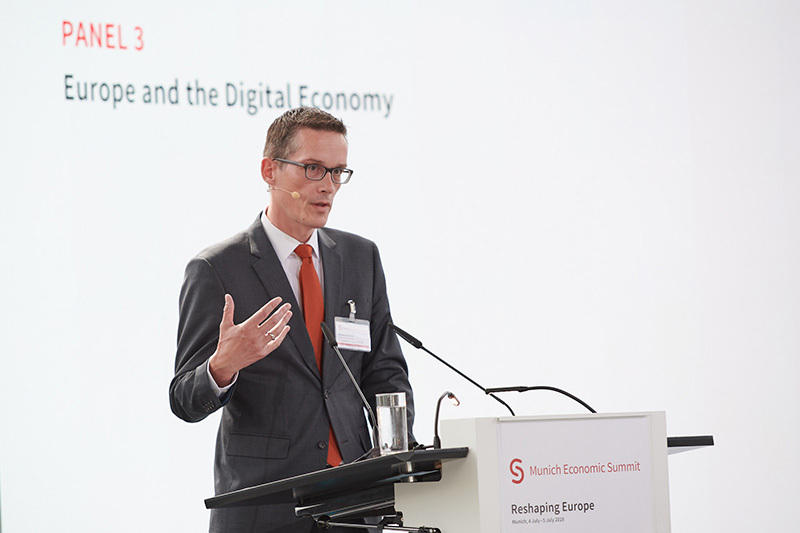 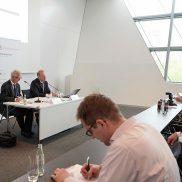 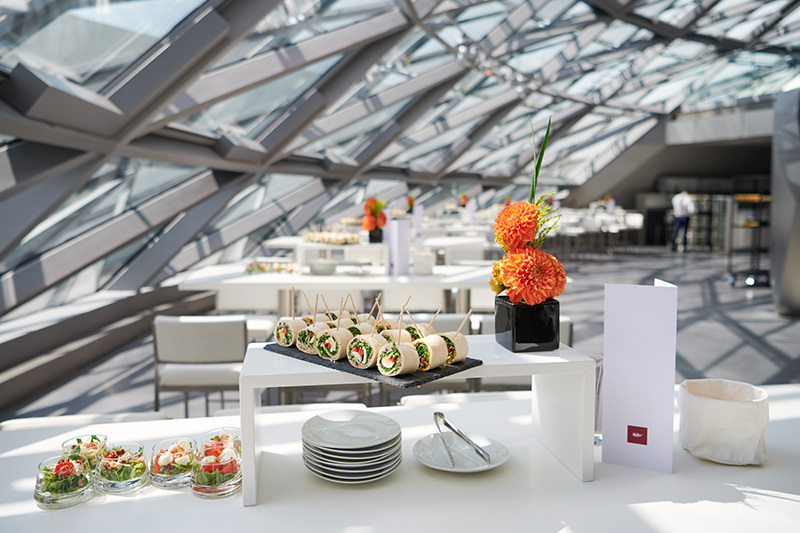 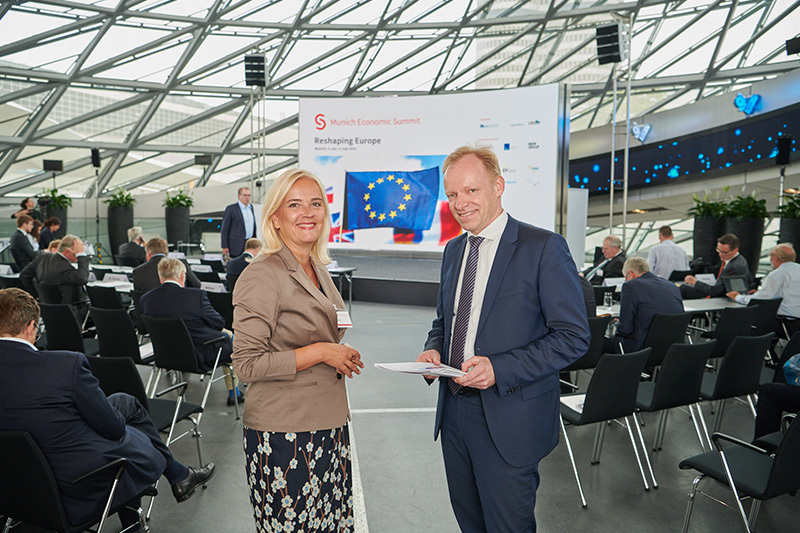 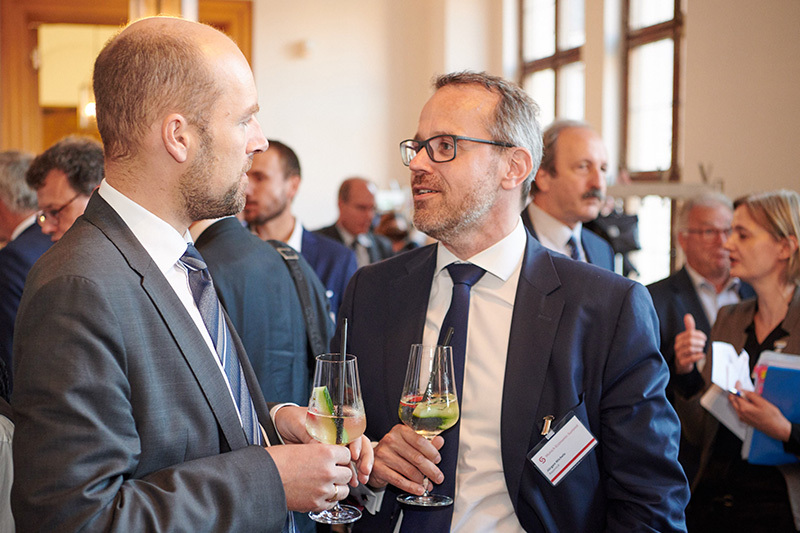 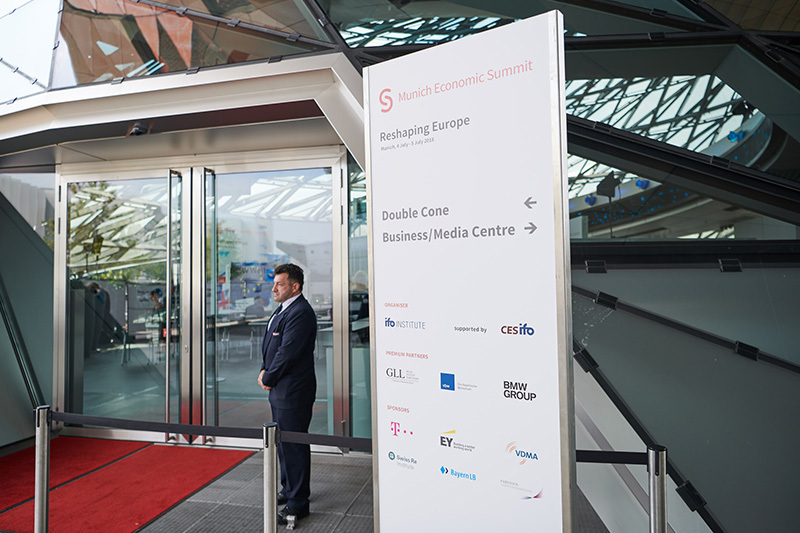 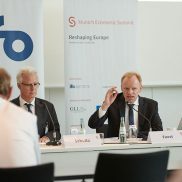 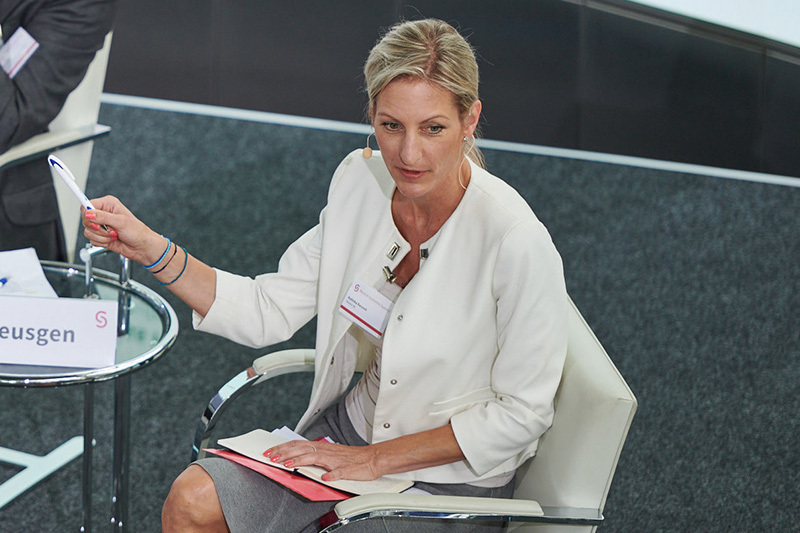 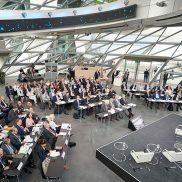 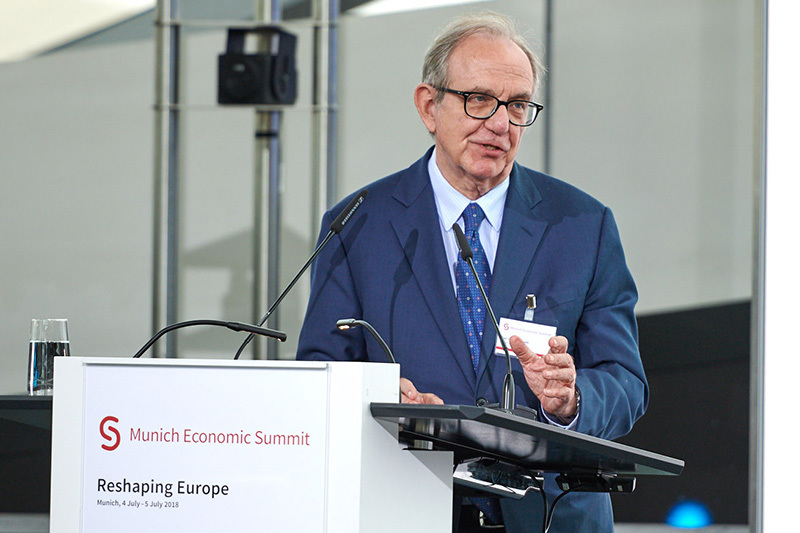 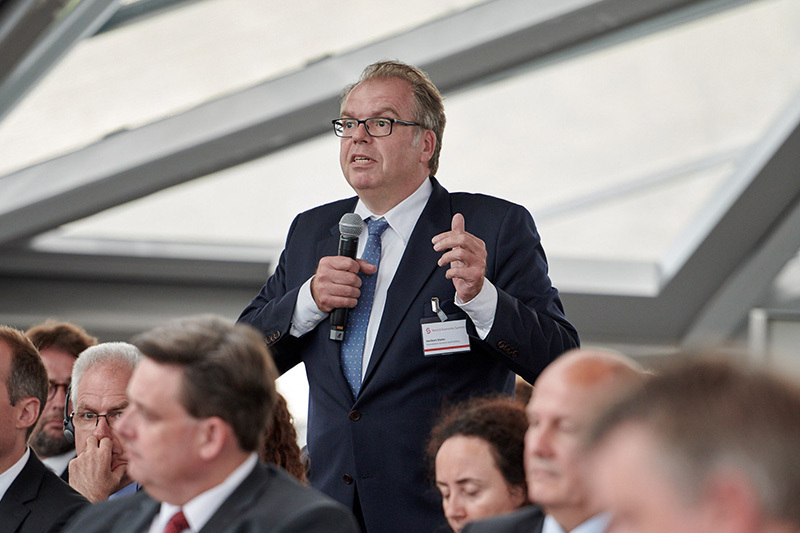 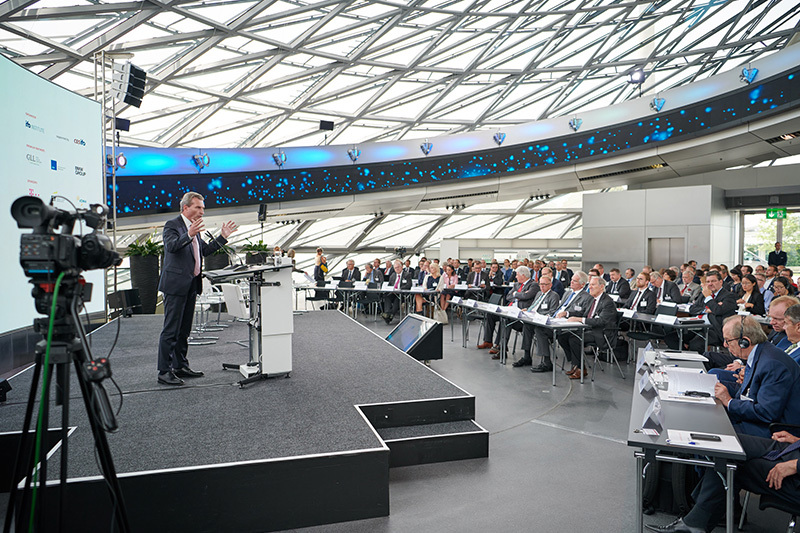 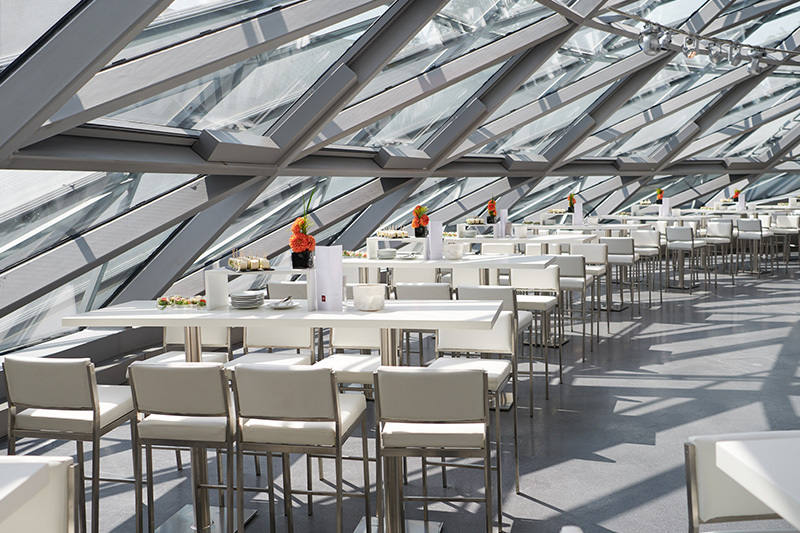 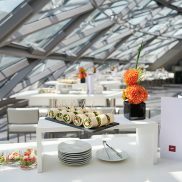 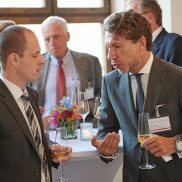 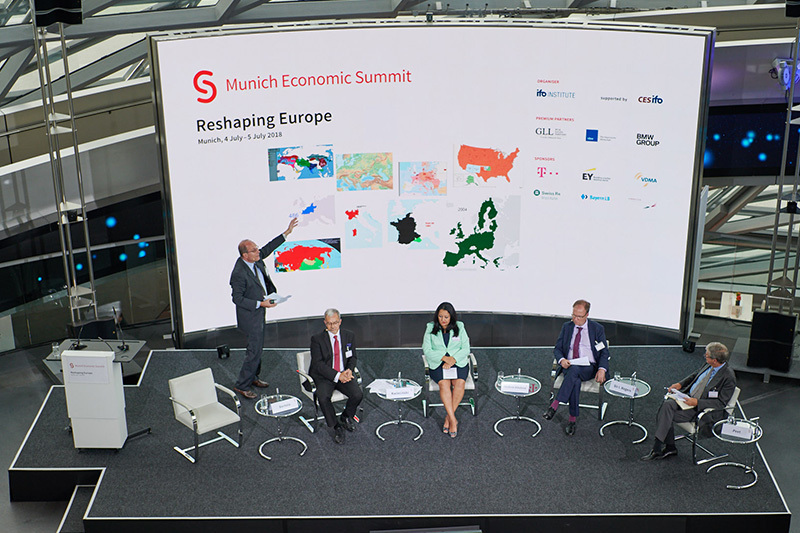 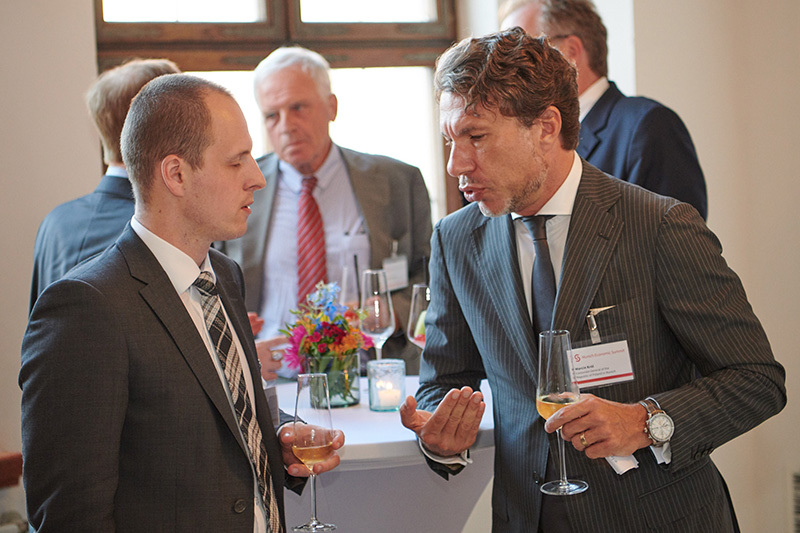 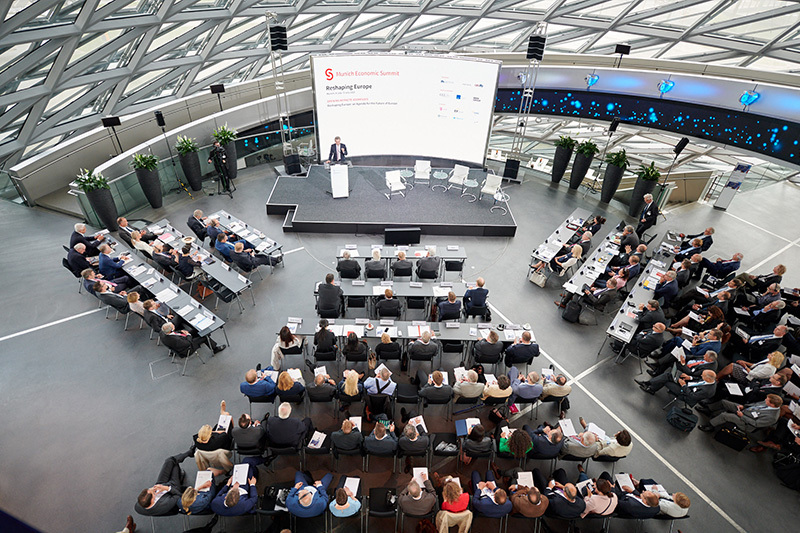 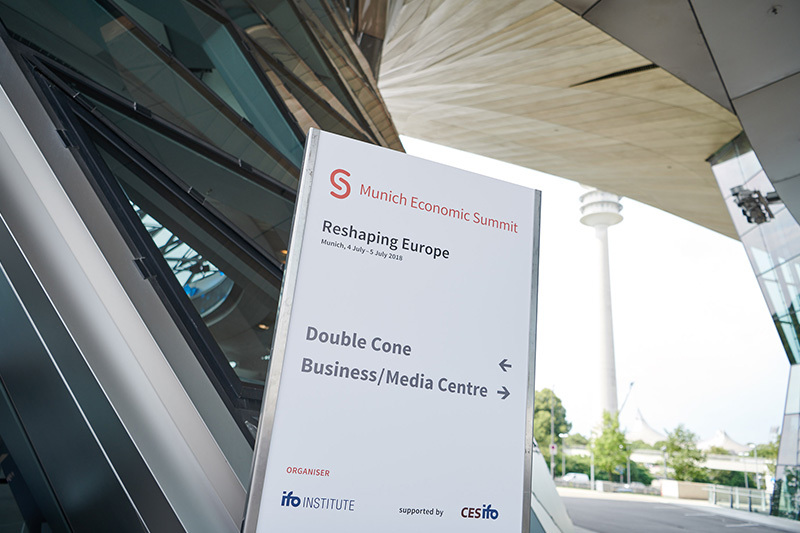 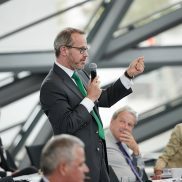 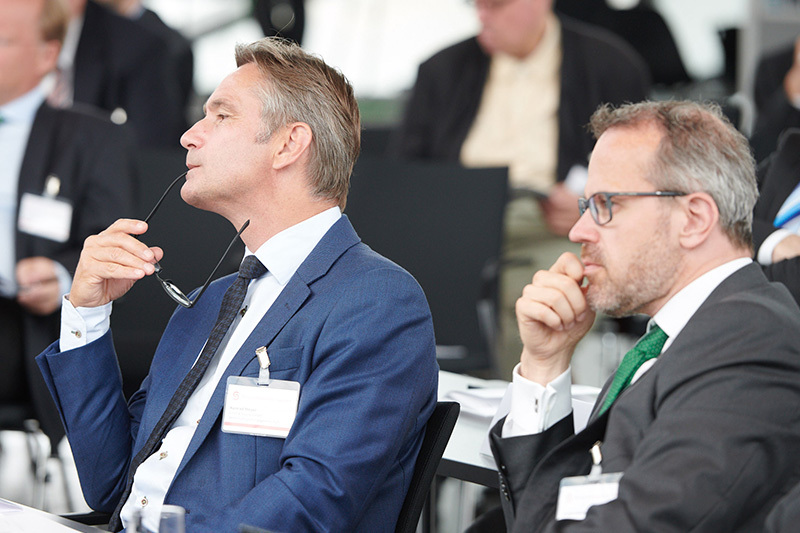 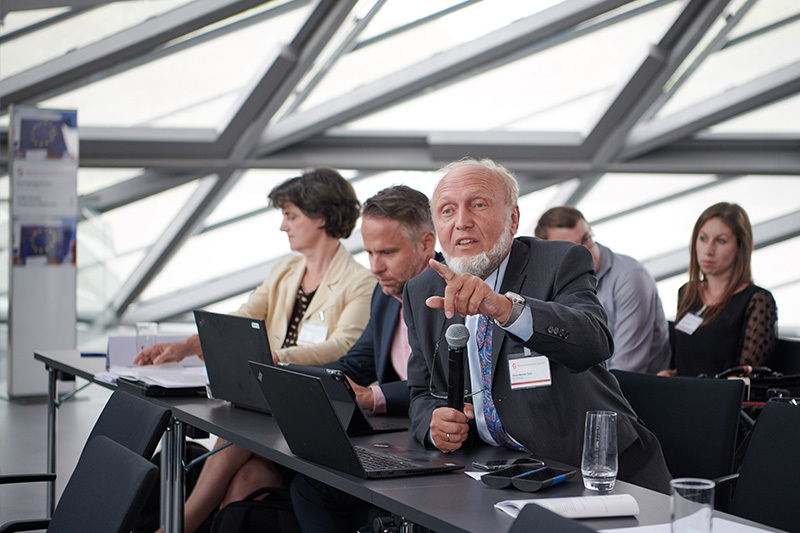 The Munich Economic Summit is supported by the CESifo GmbH. 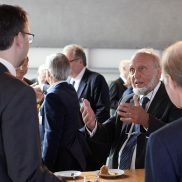 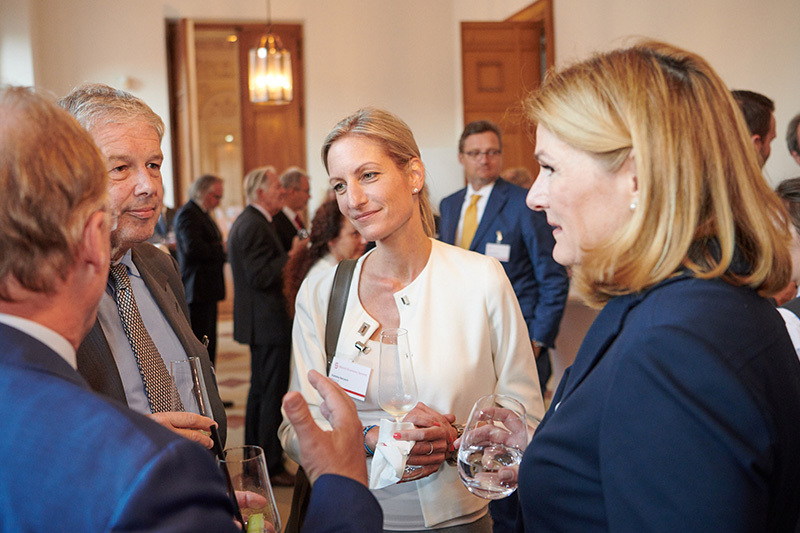 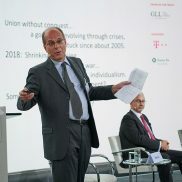 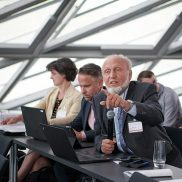 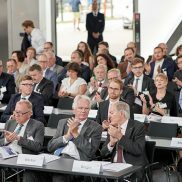 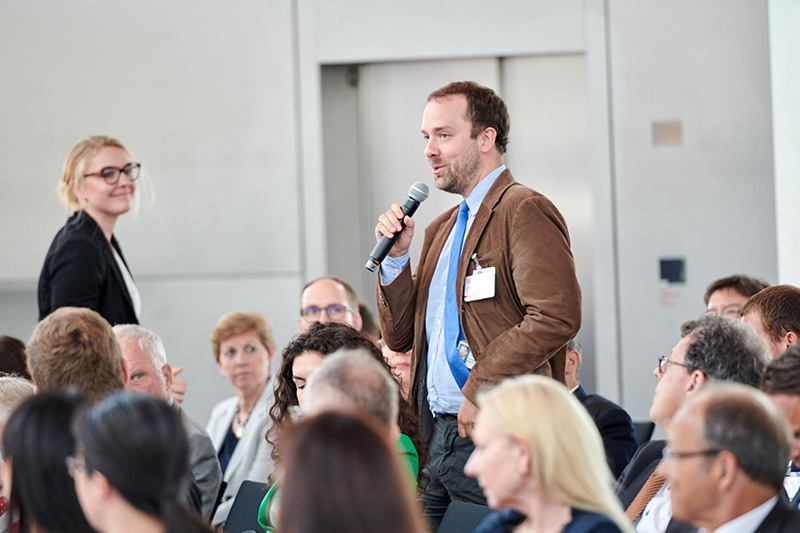 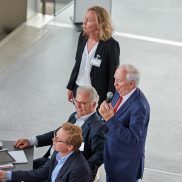 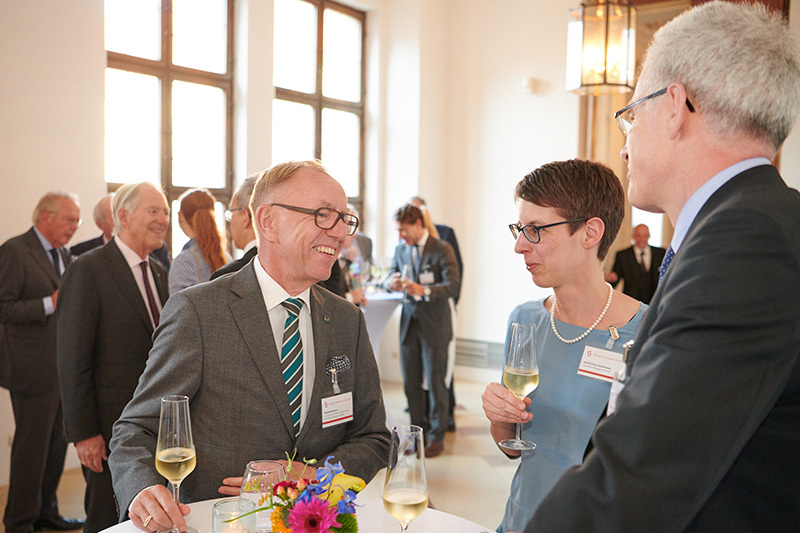 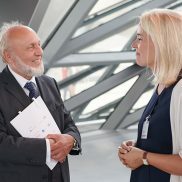 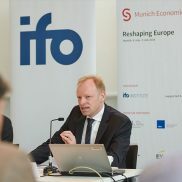 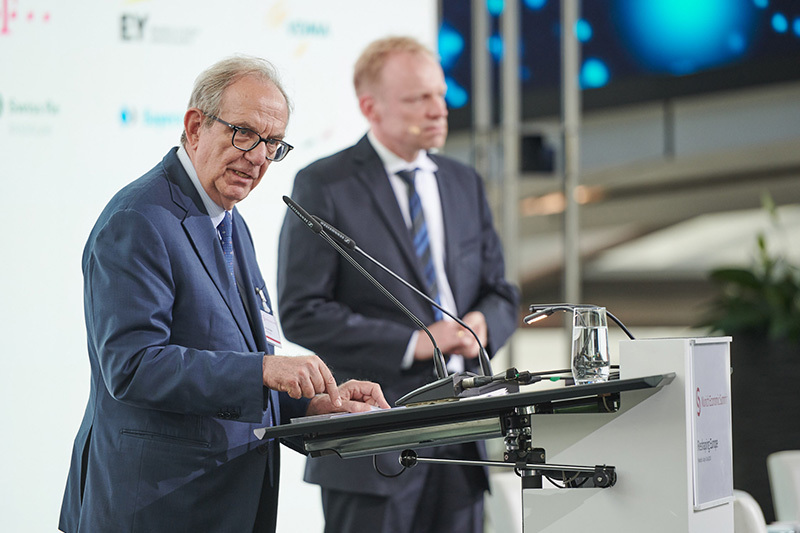 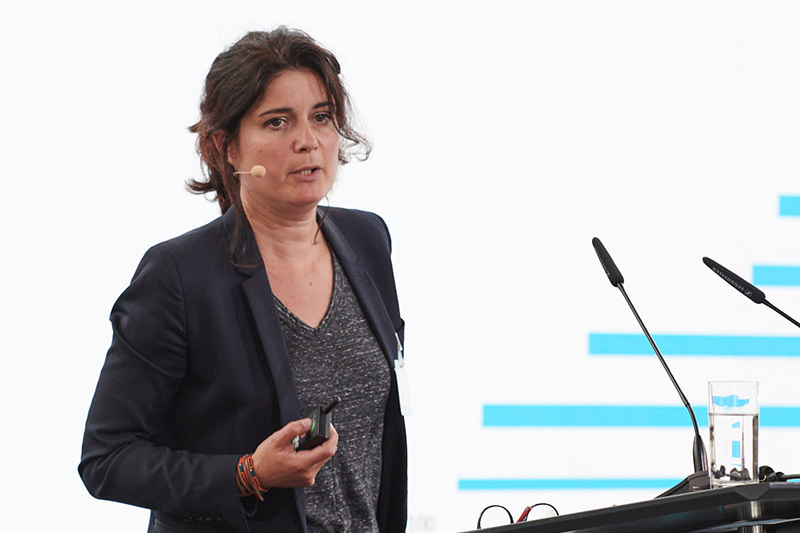 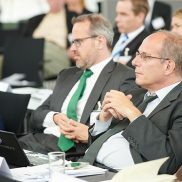 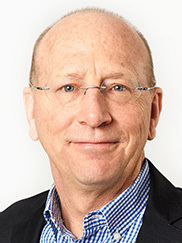 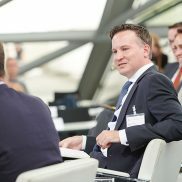 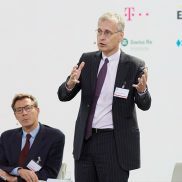 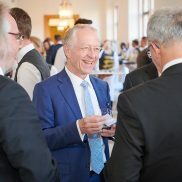 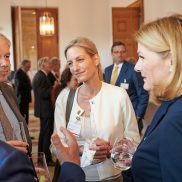 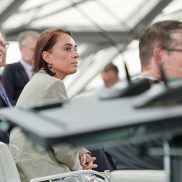 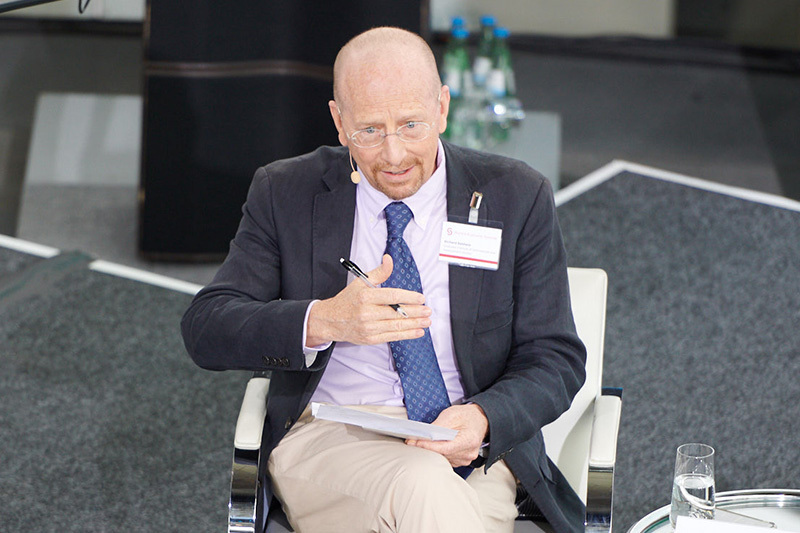 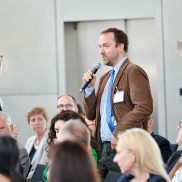 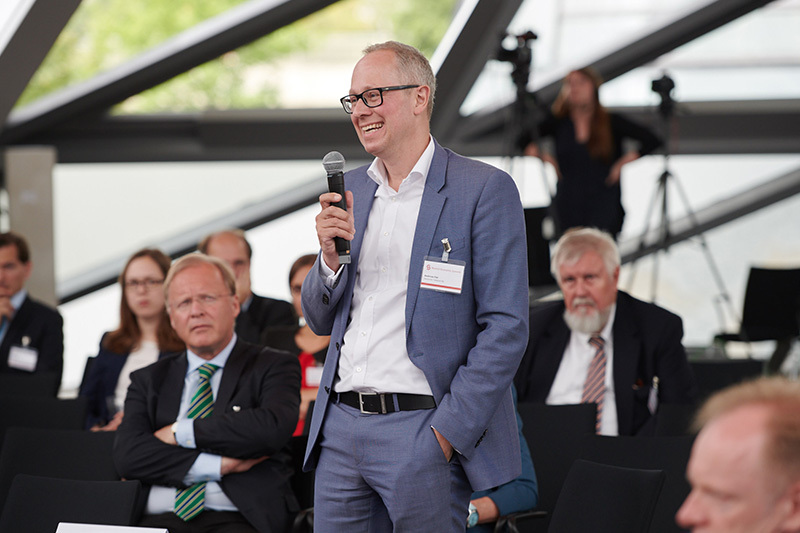 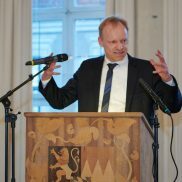 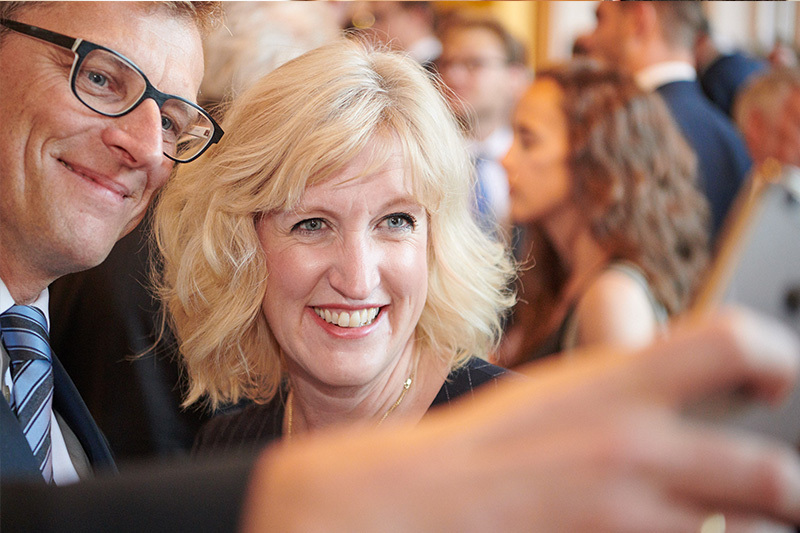 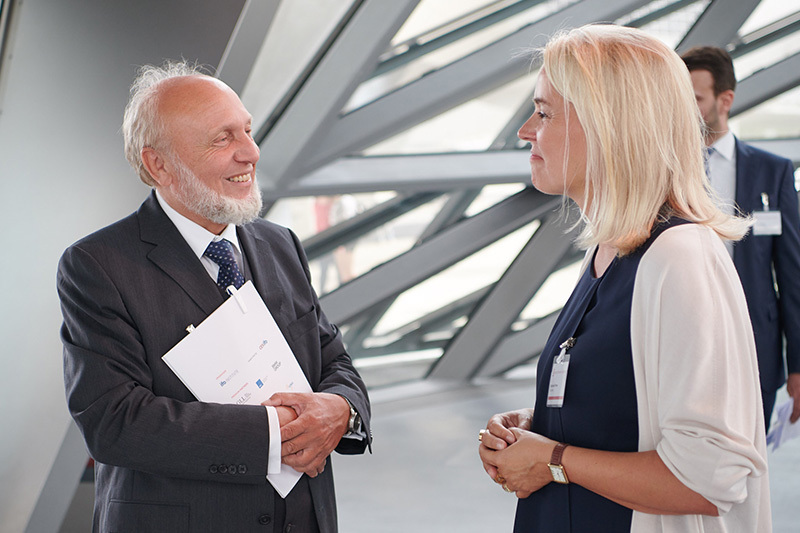 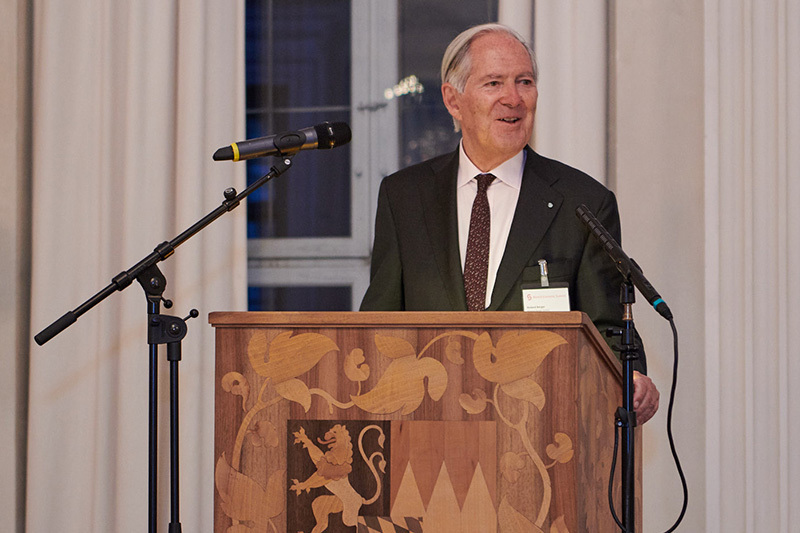 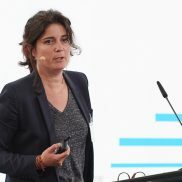 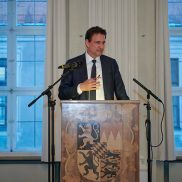 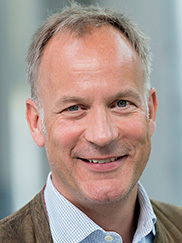 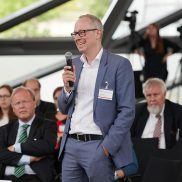 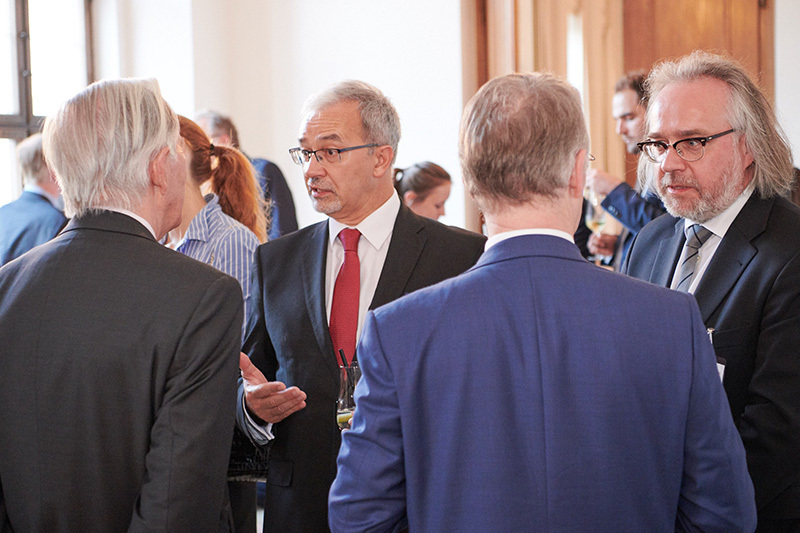 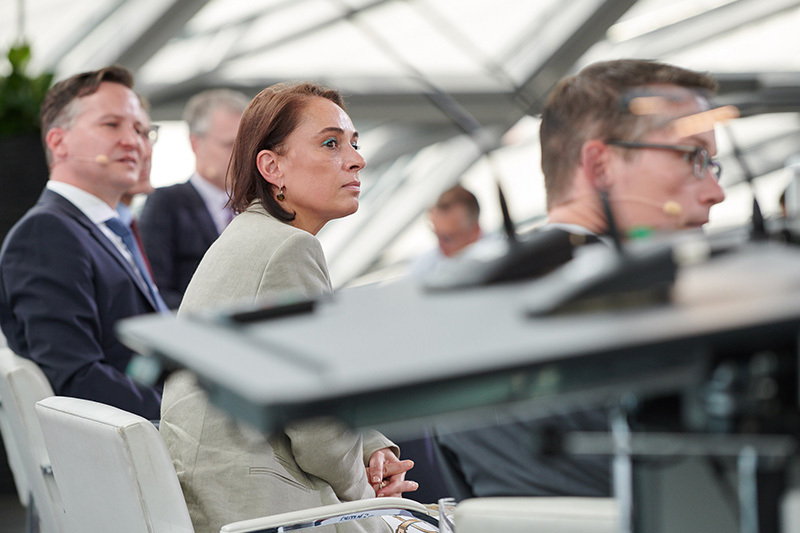 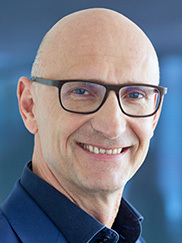 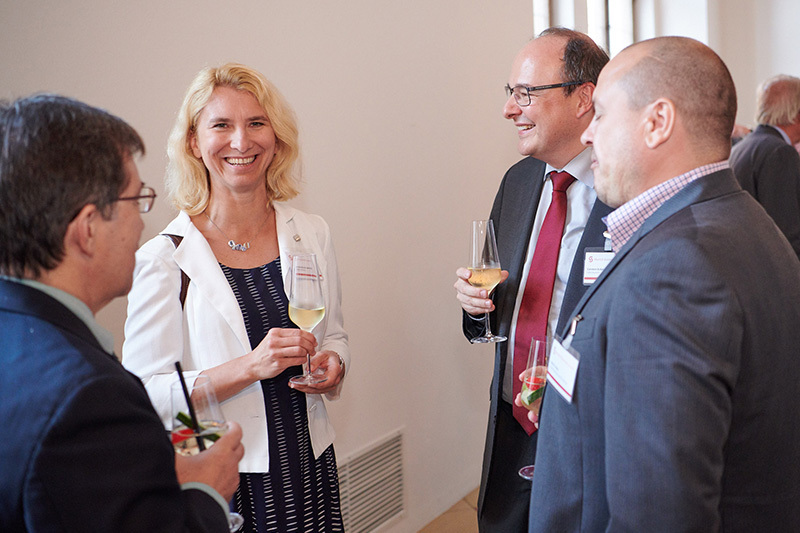 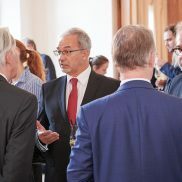 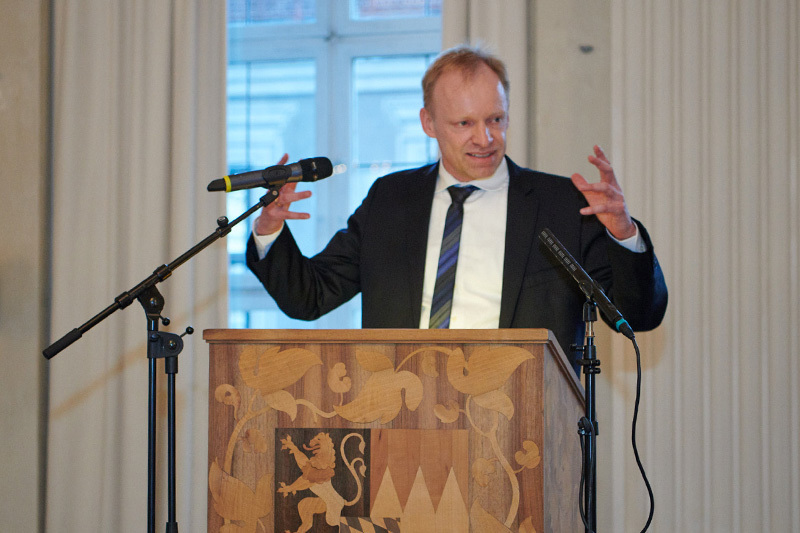 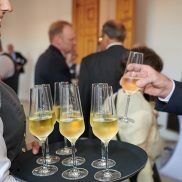 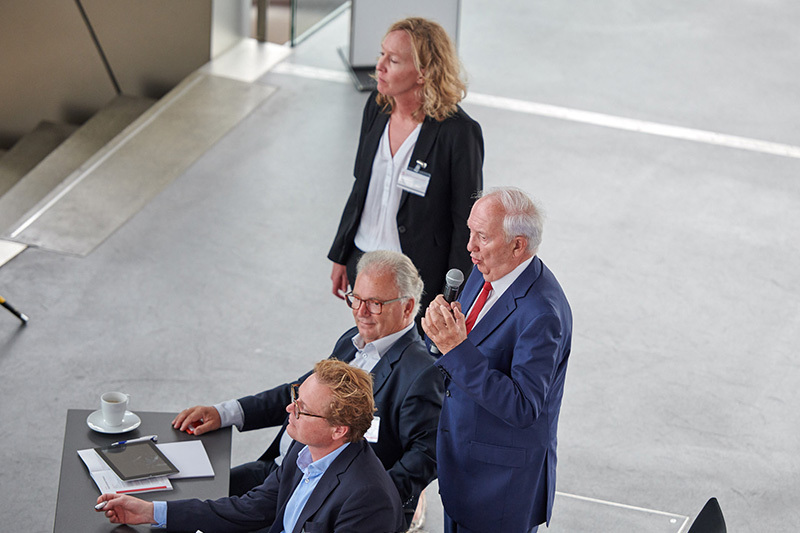 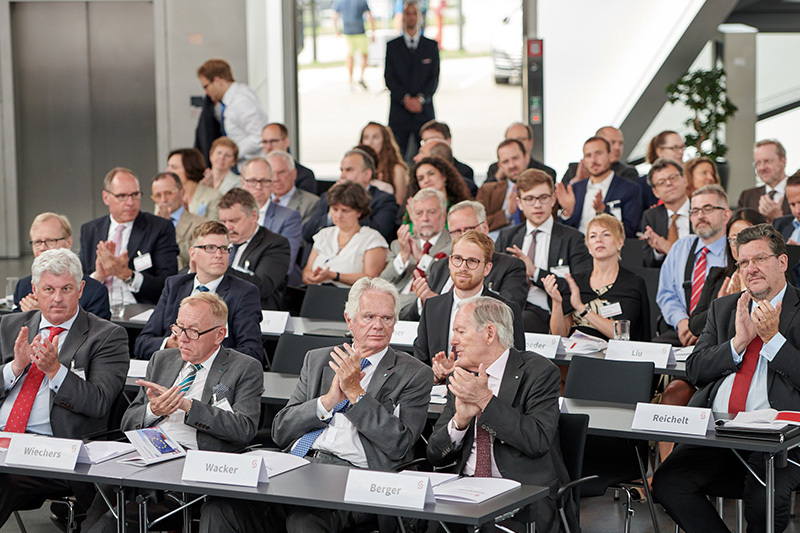 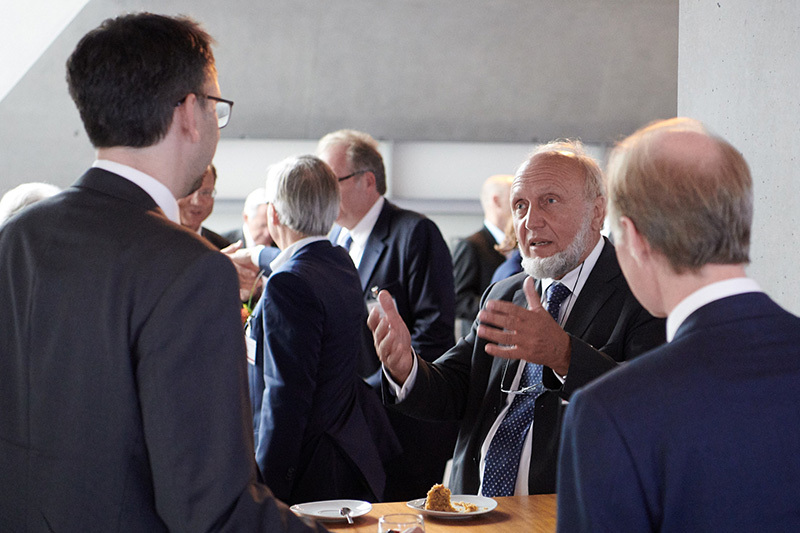 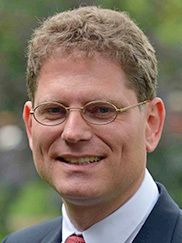 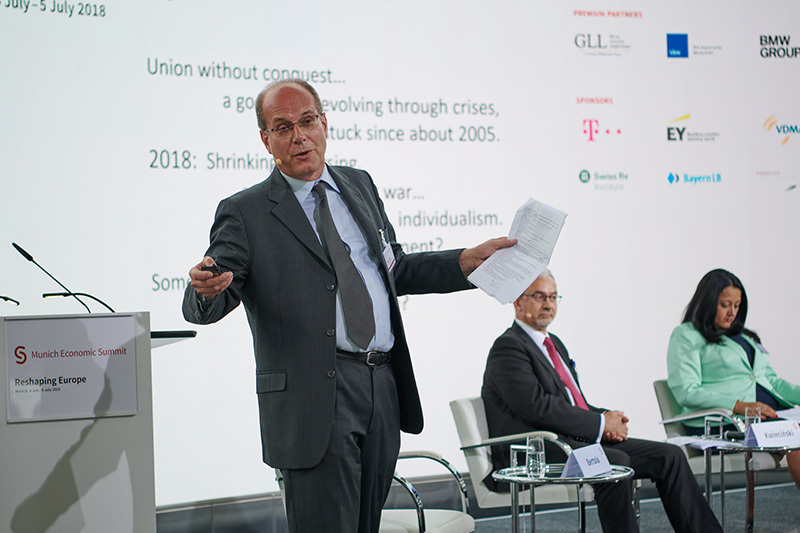 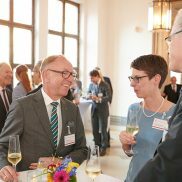 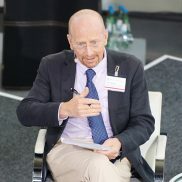 CESifo GmbH is a joint initiative by the LMU Munich and the ifo Institute to promote the internationalisation of economic research and to co-ordinate an international research network.